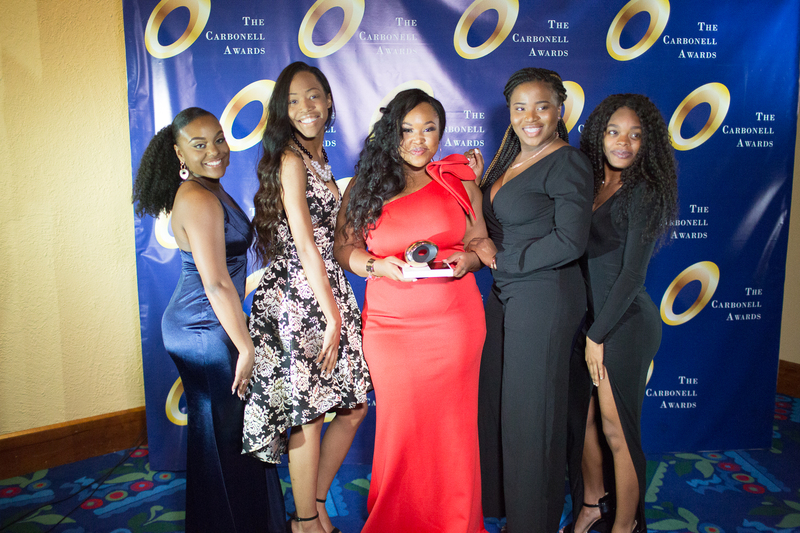 Now accepting Sponsors at all levels for the 2017 Awards Ceremony! 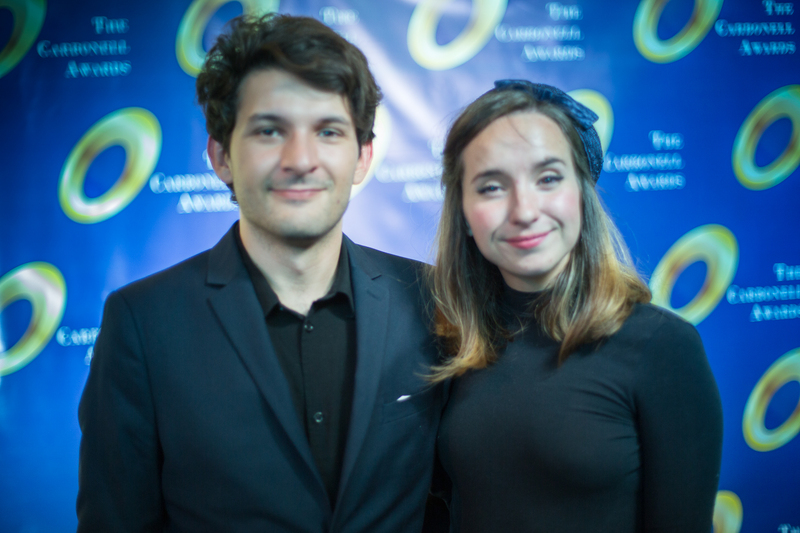 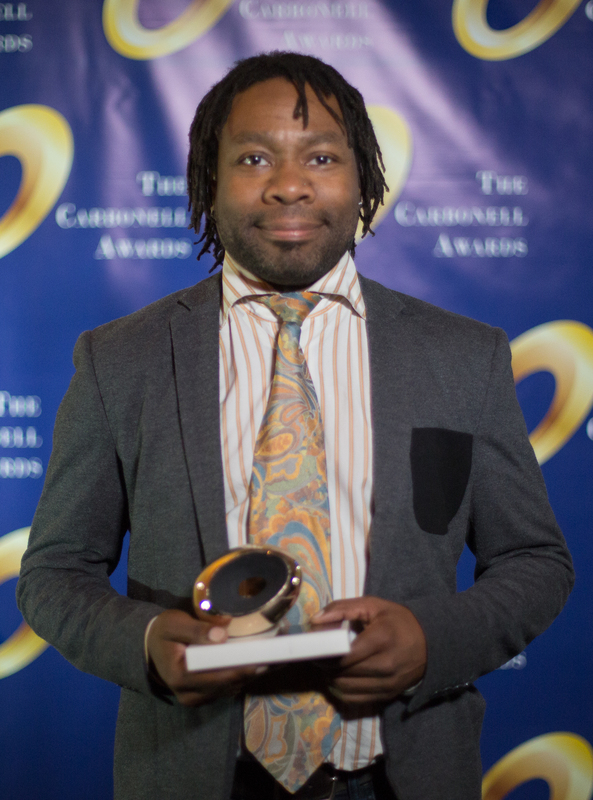 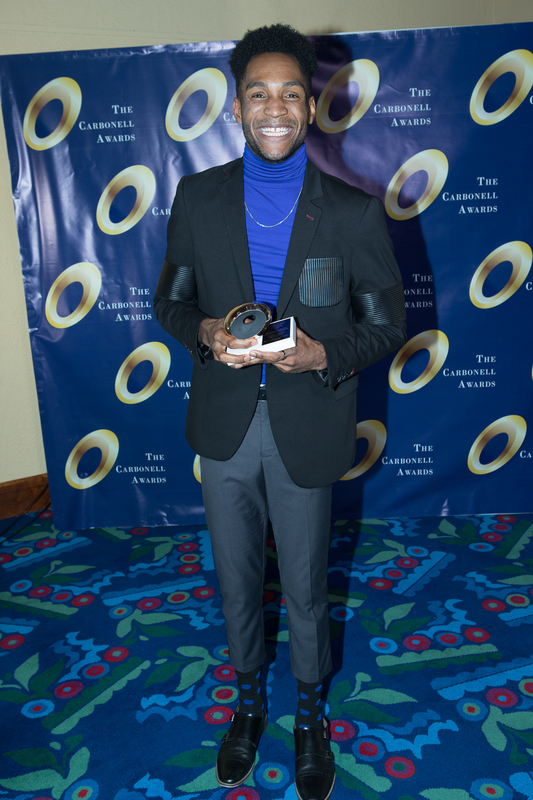 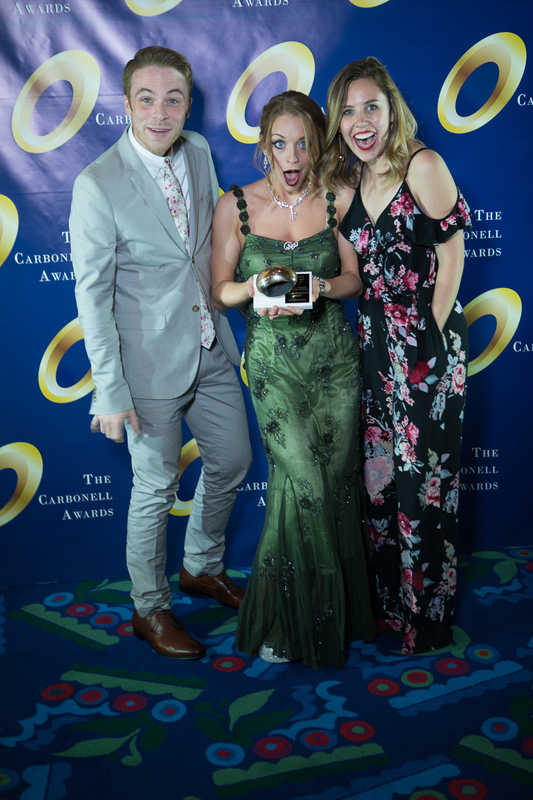 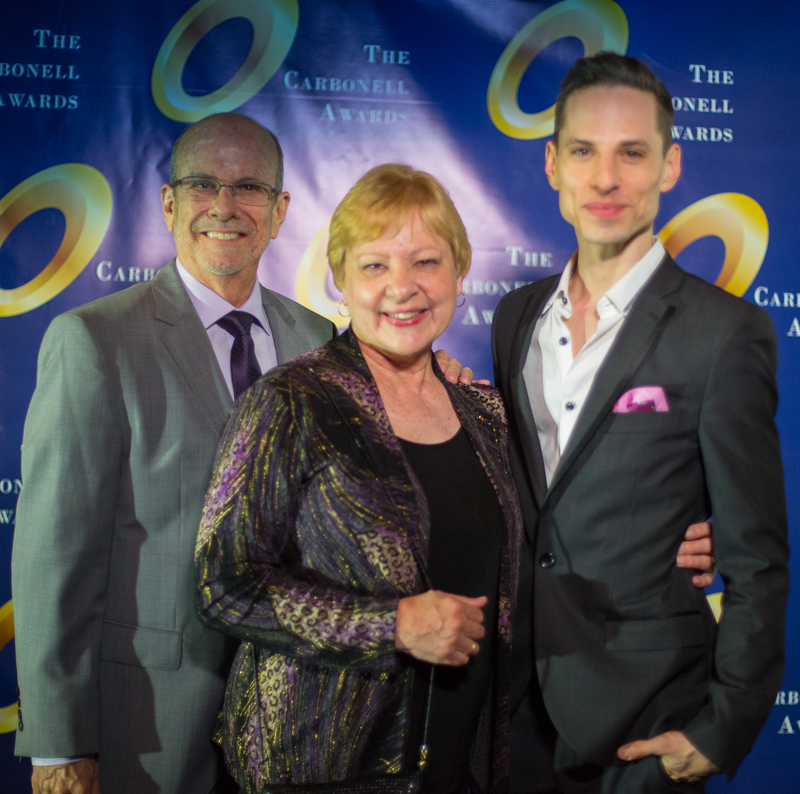 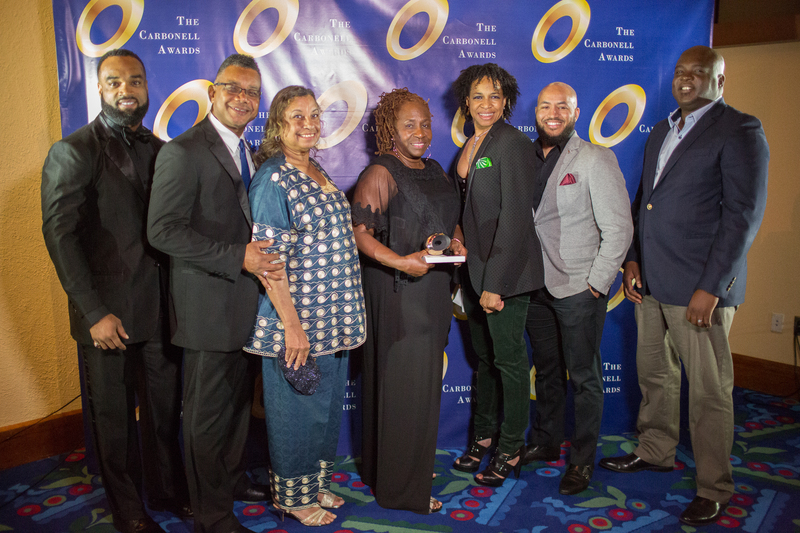 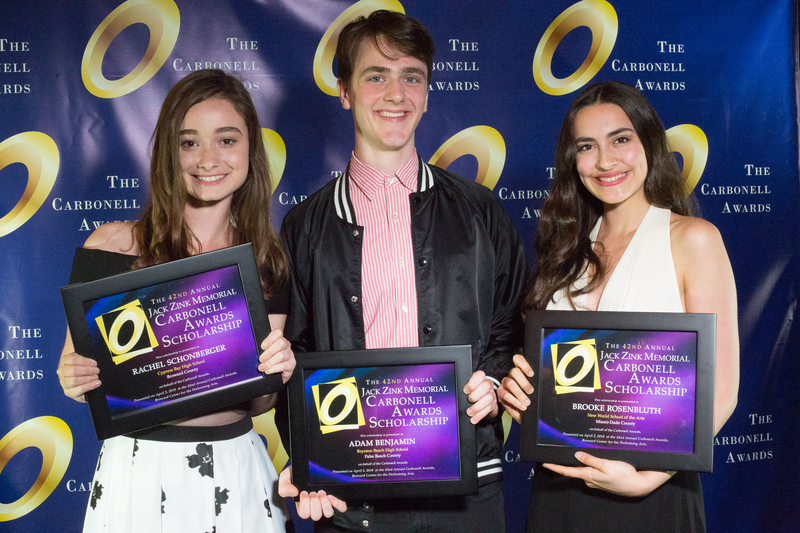 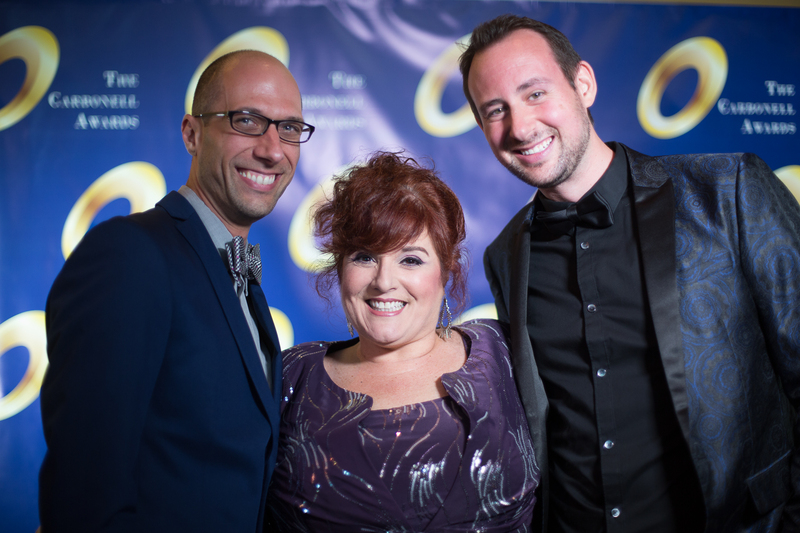 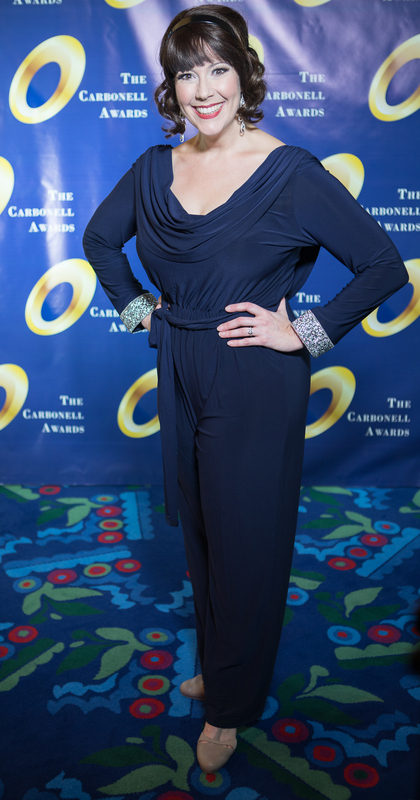 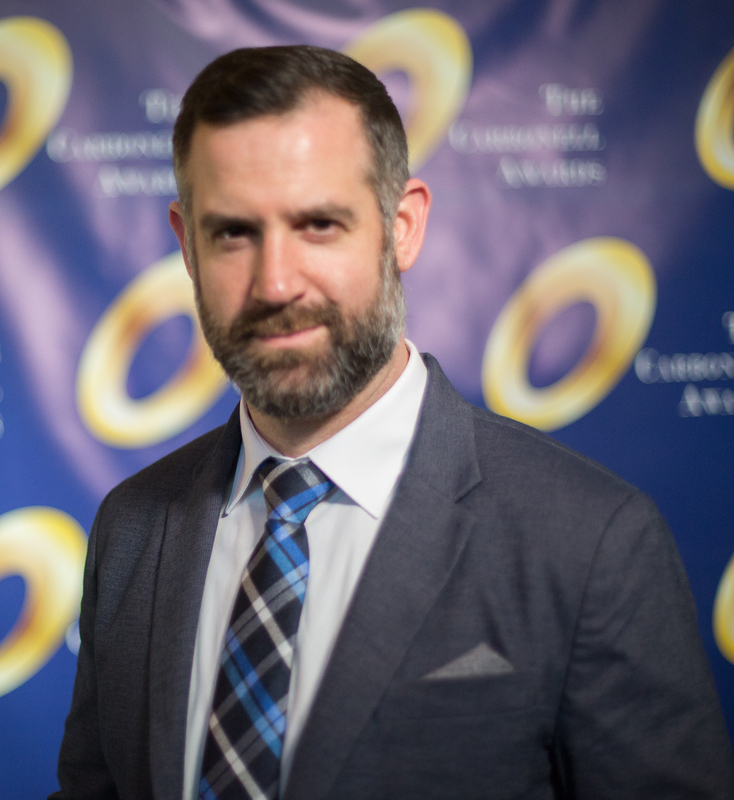 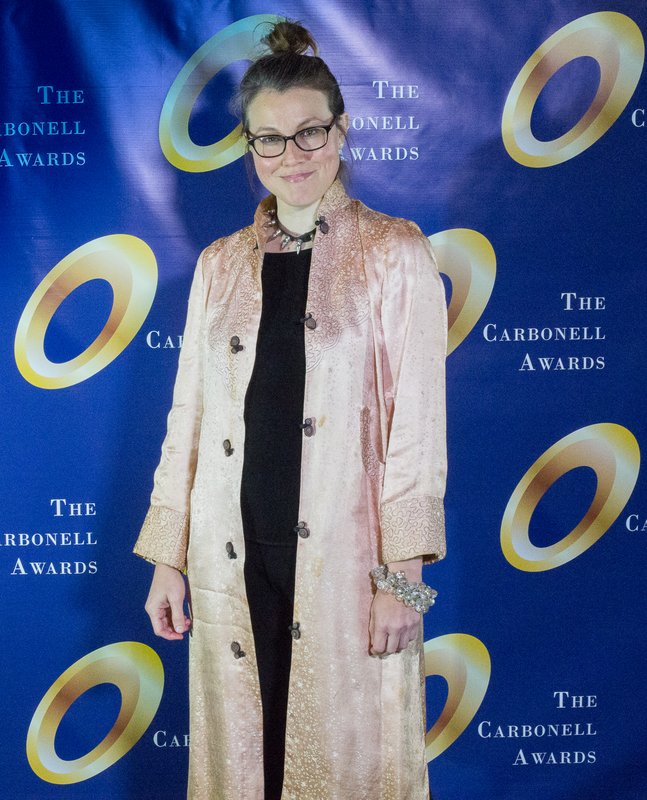 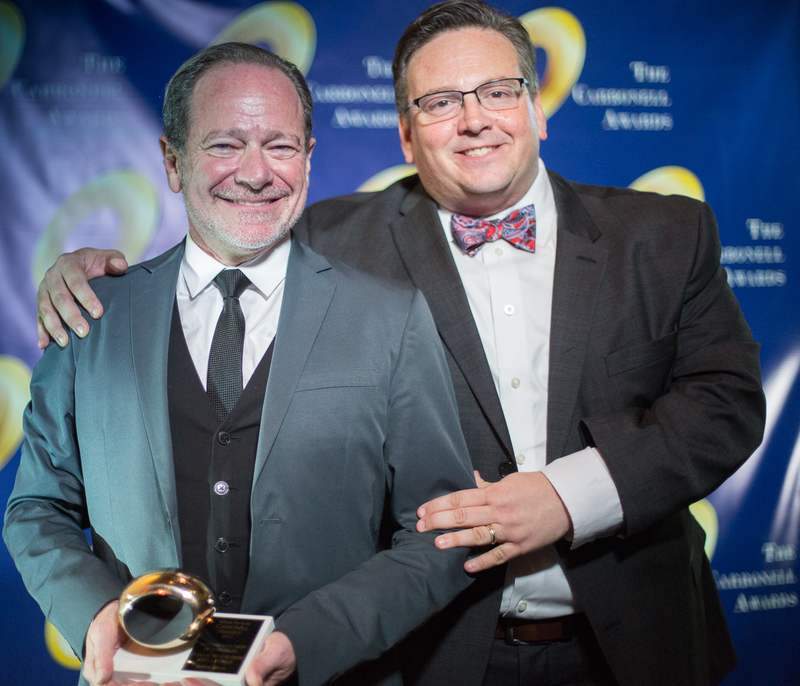 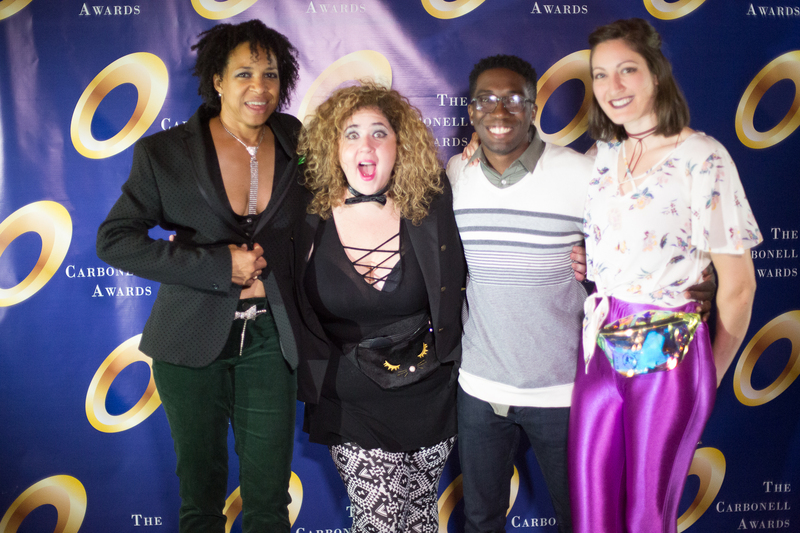 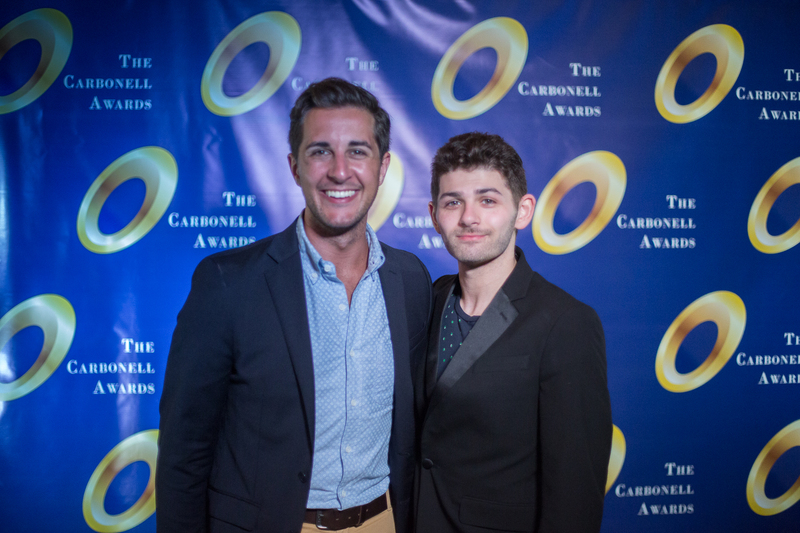 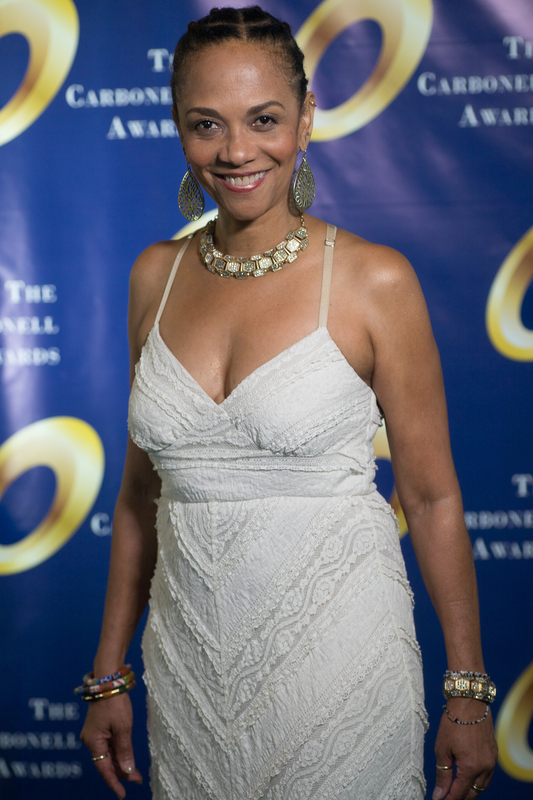 Along with New York’s Drama Desk and Chicago’s Joseph Jefferson Awards, the Carbonell Awards are among the nation’s senior regional arts awards and predate others including Washington, D.C.’s Helen Hayes Awards. 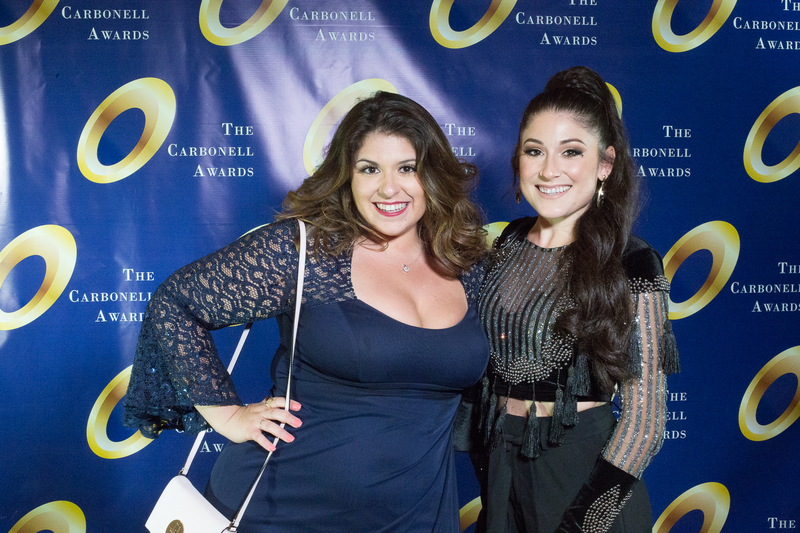 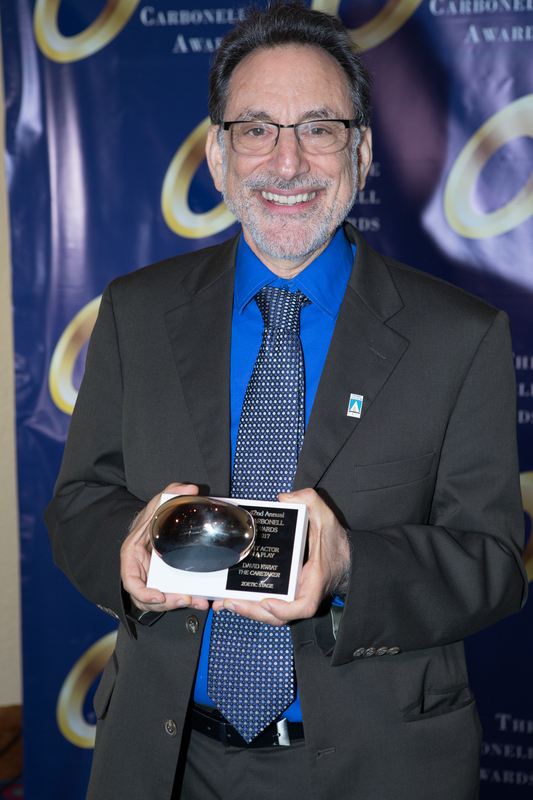 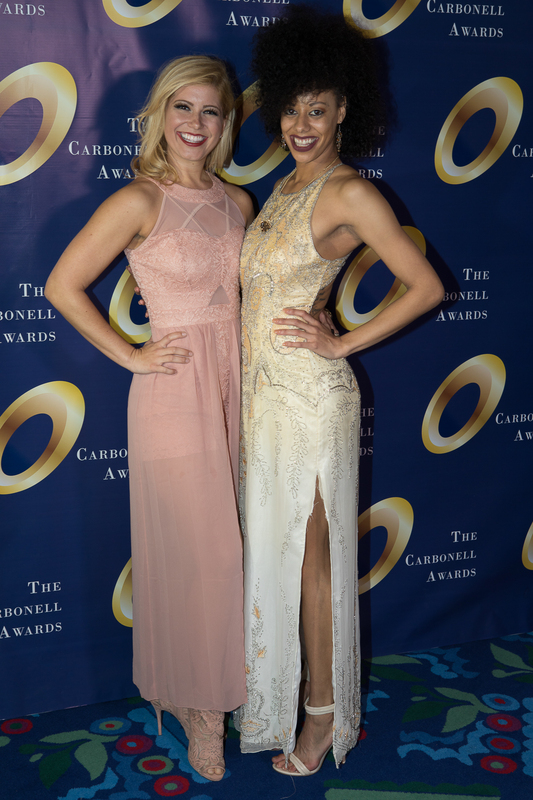 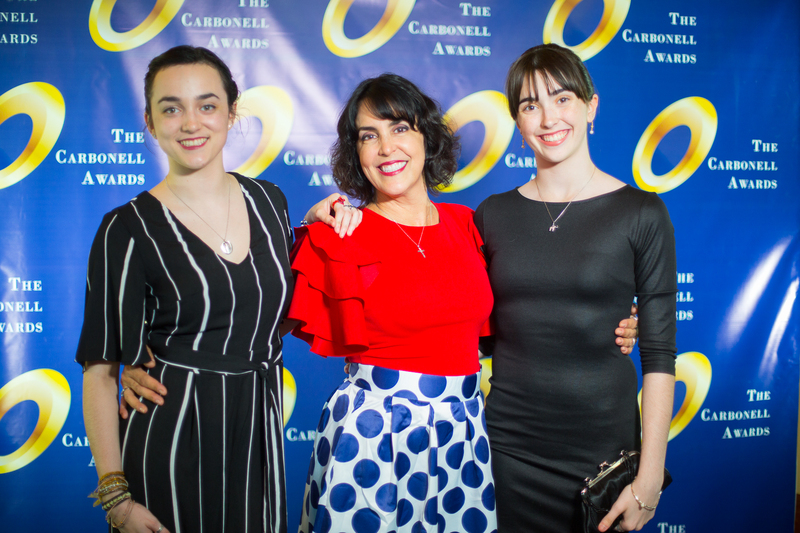 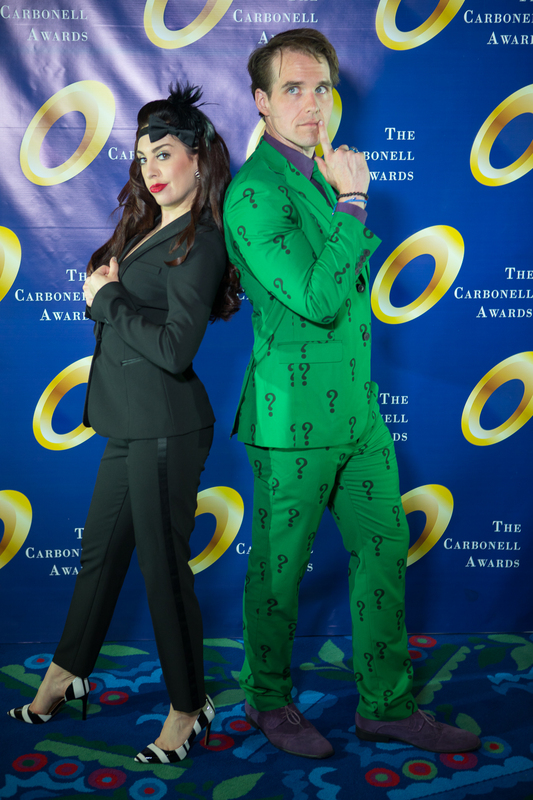 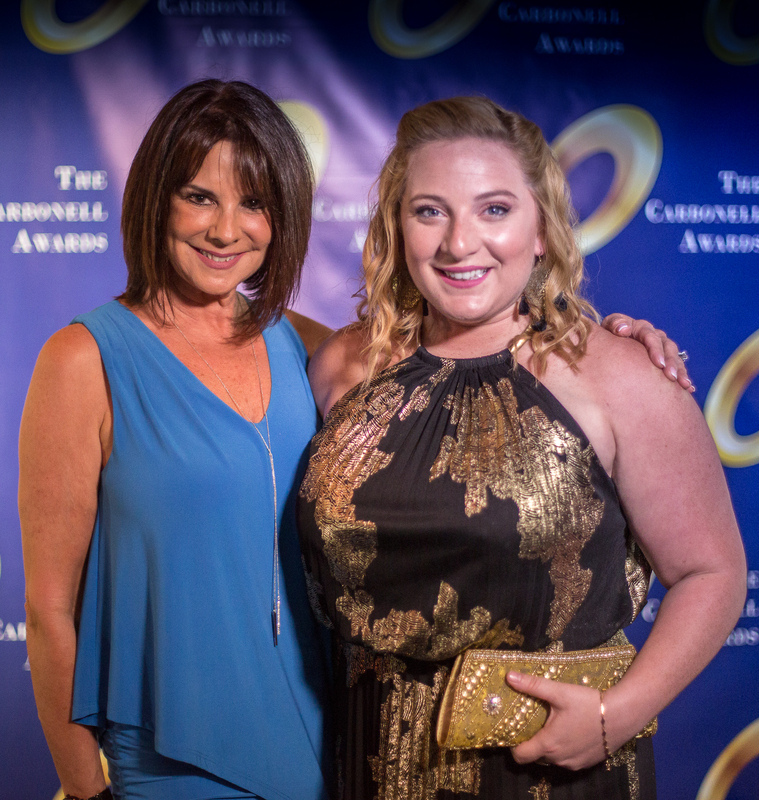 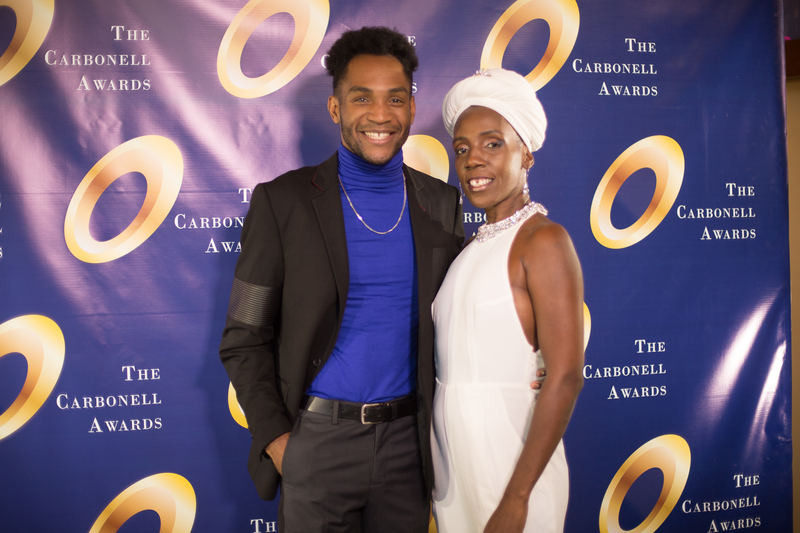 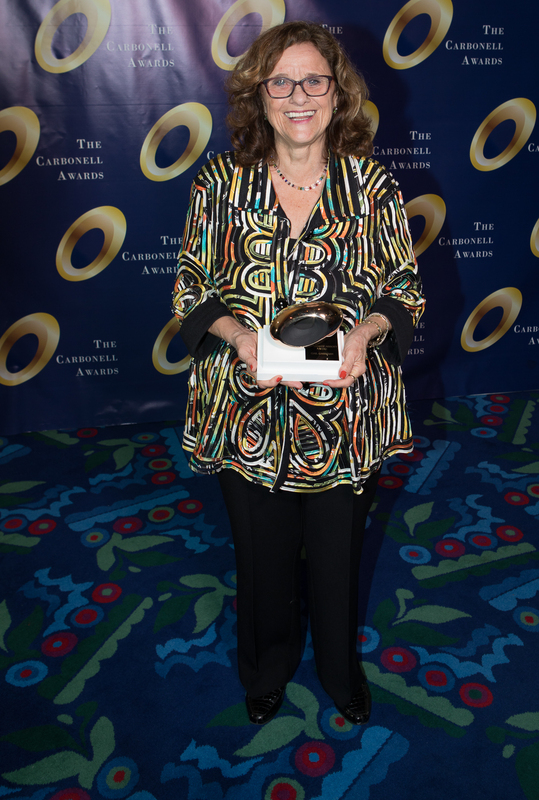 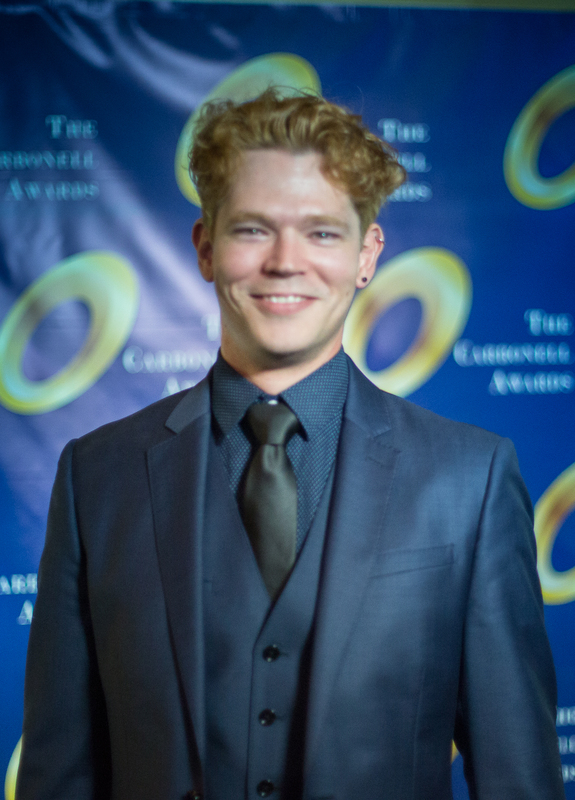 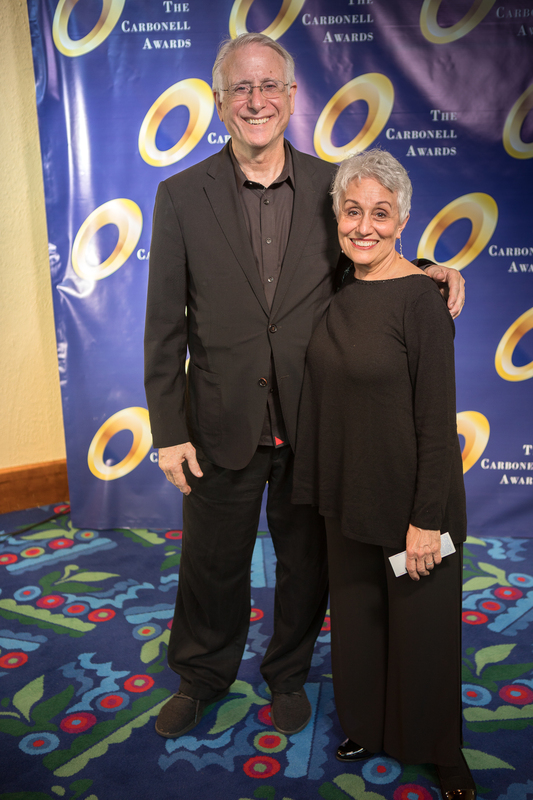 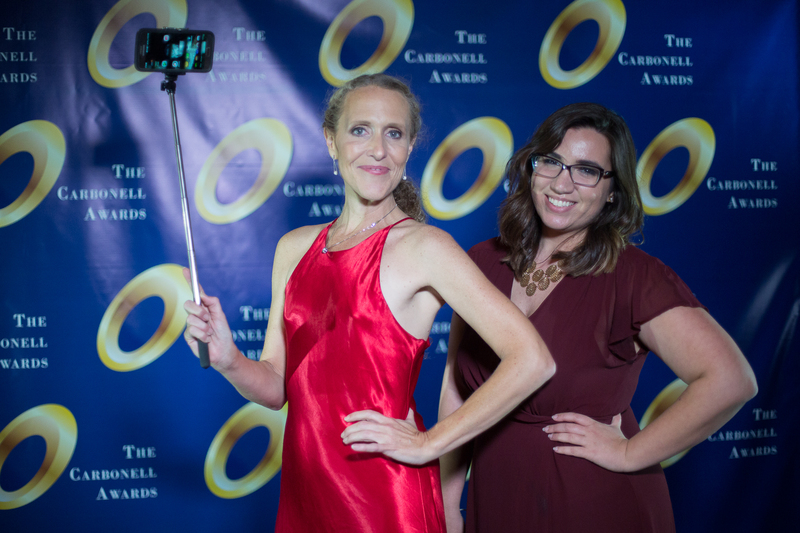 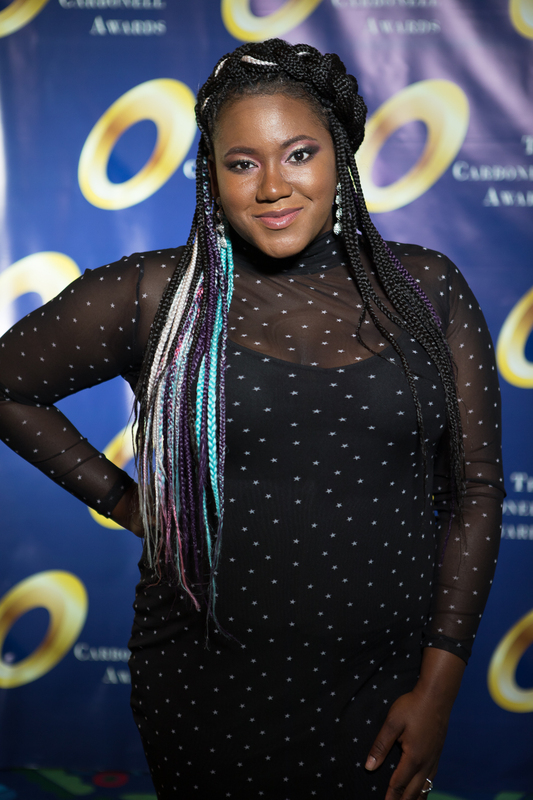 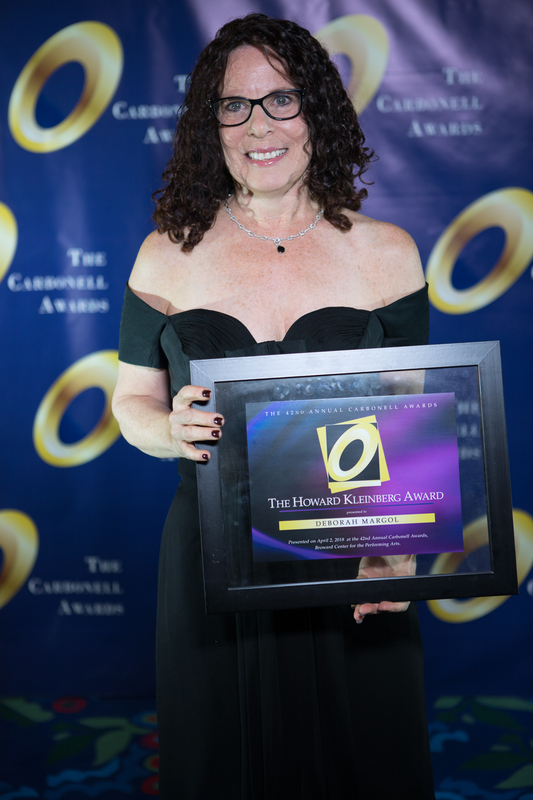 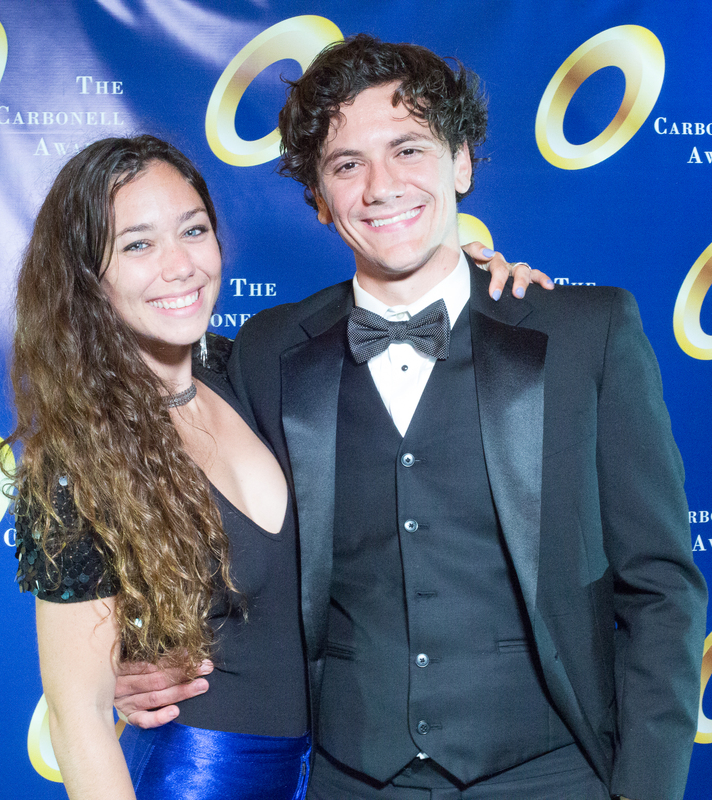 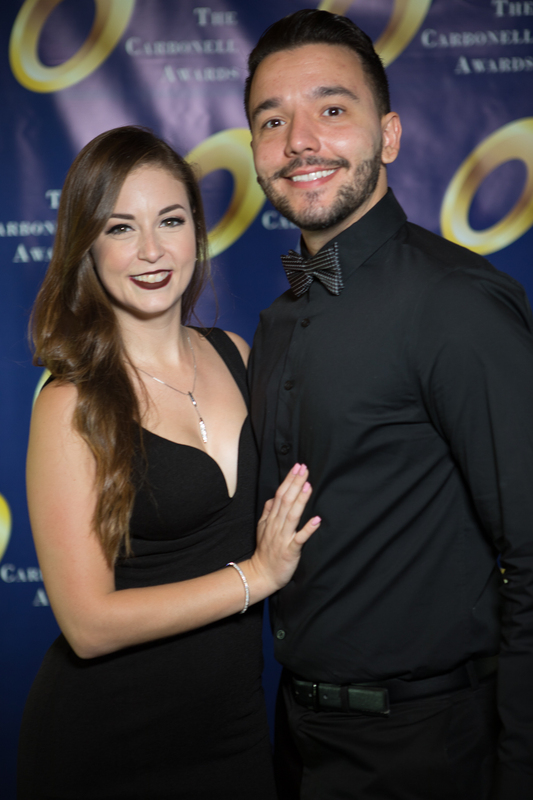 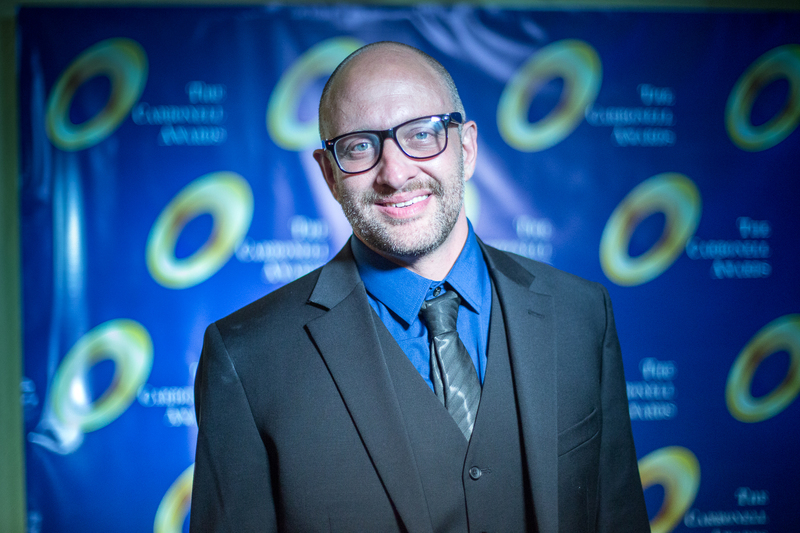 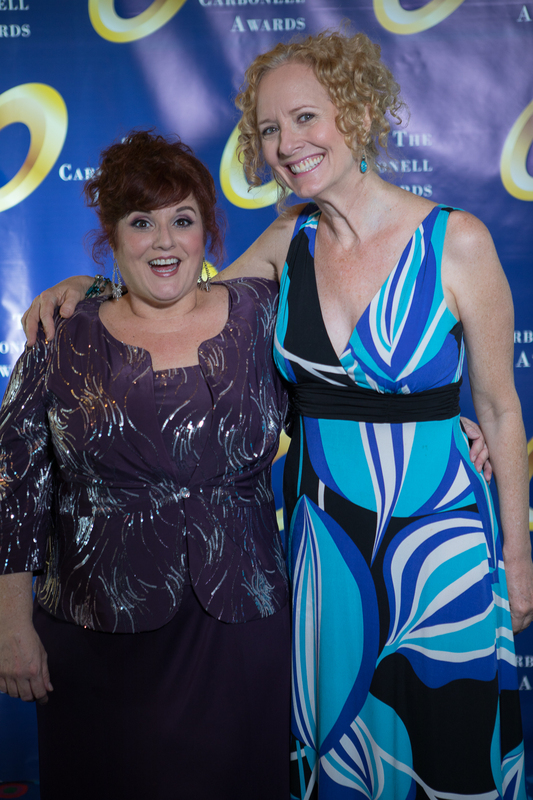 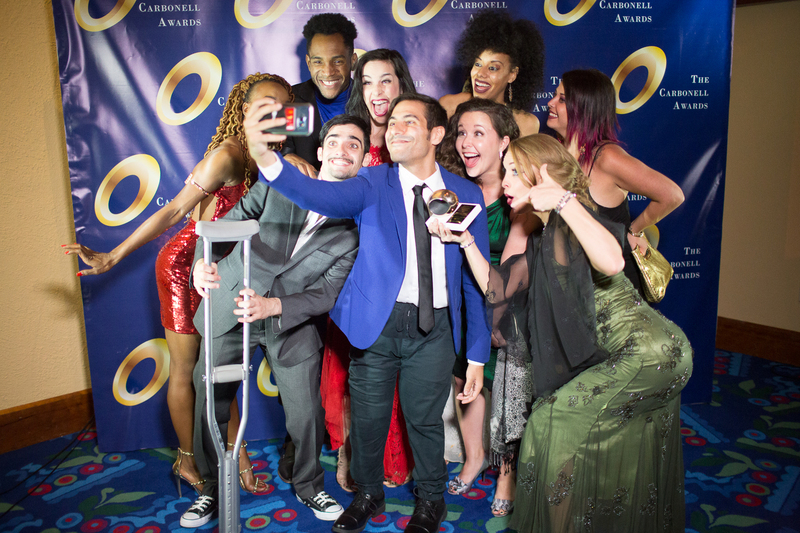 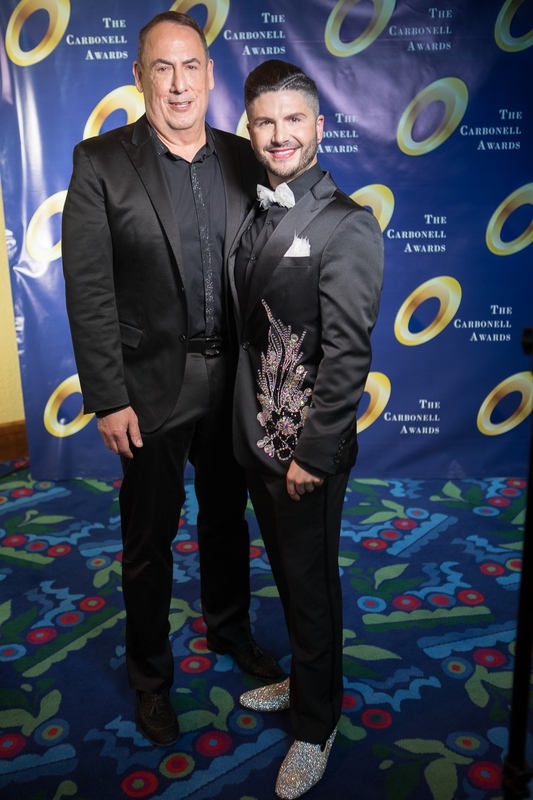 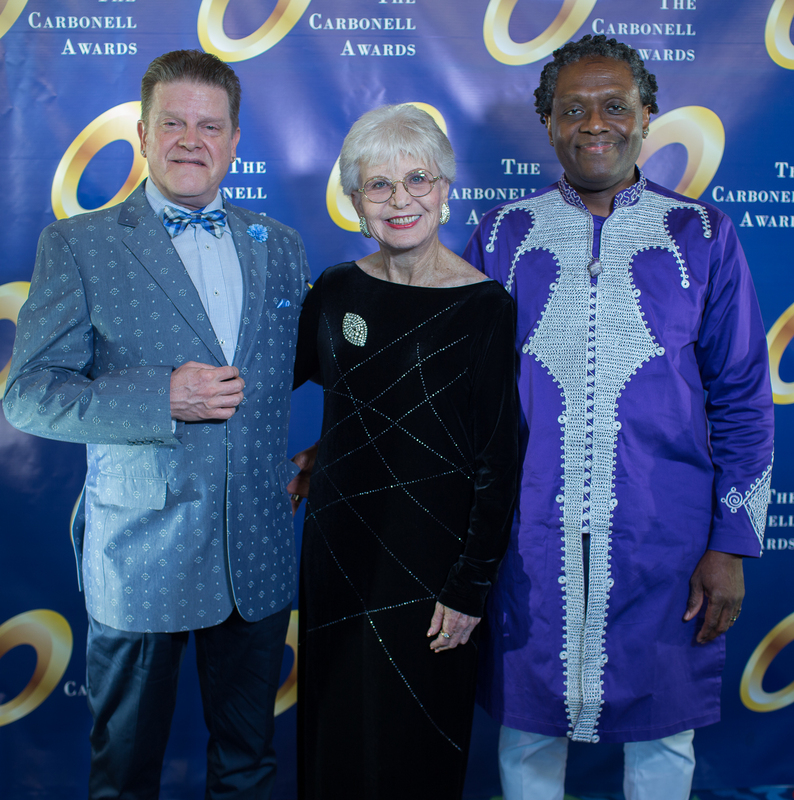 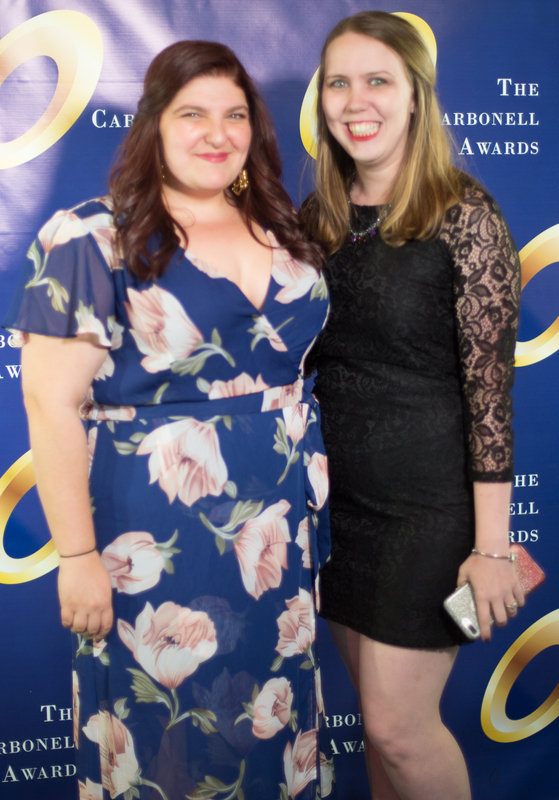 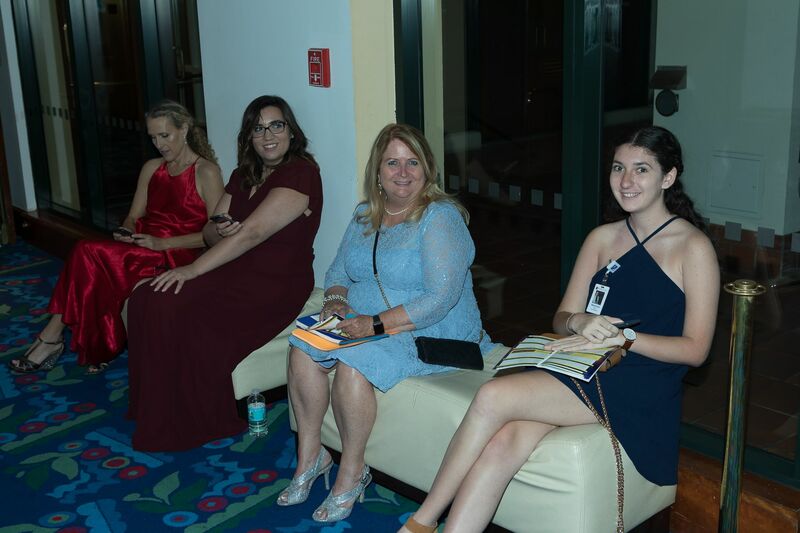 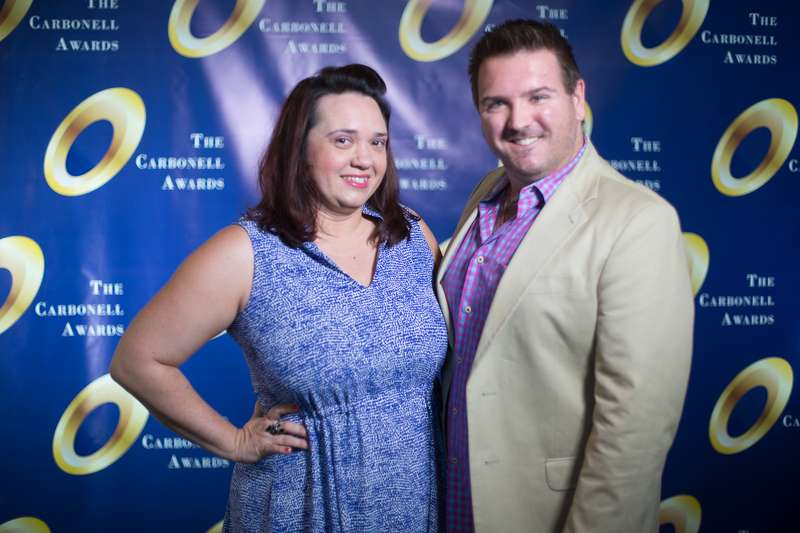 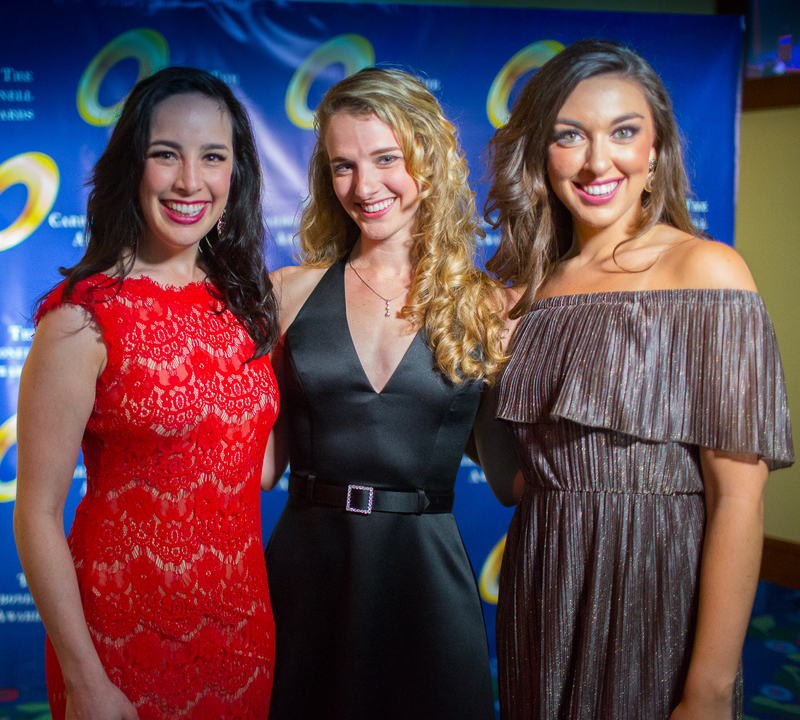 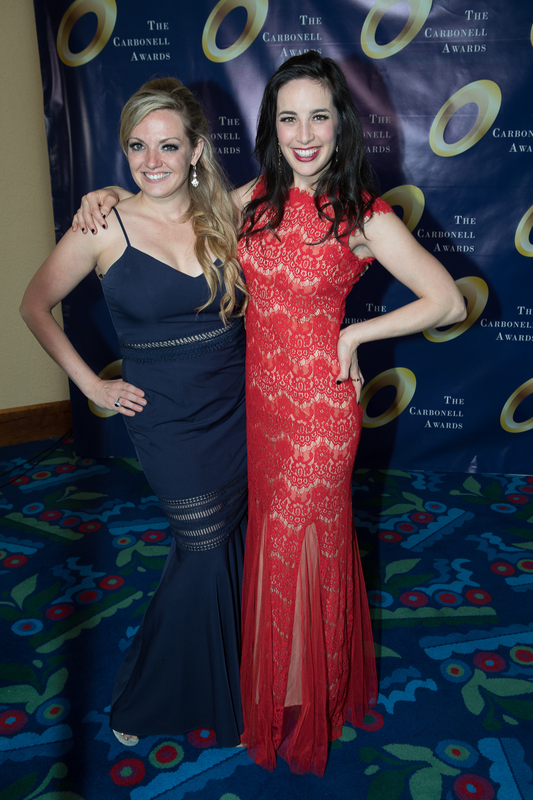 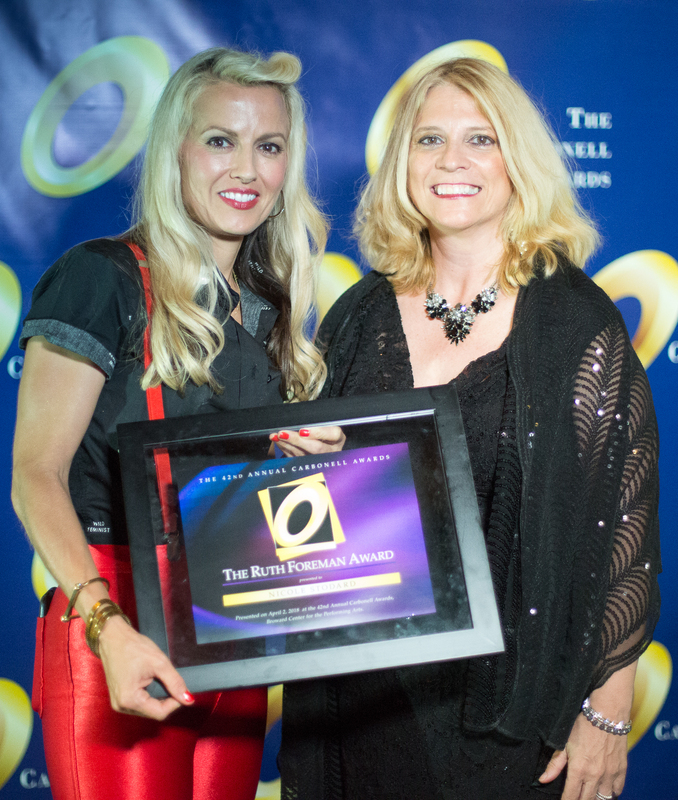 The Carbonell Awards fosters the artistic growth of professional theater in South Florida by celebrating the diversity of our theater artists, providing educational scholarships, and building audience appreciation and civic pride by highlighting achievements of our theater community. 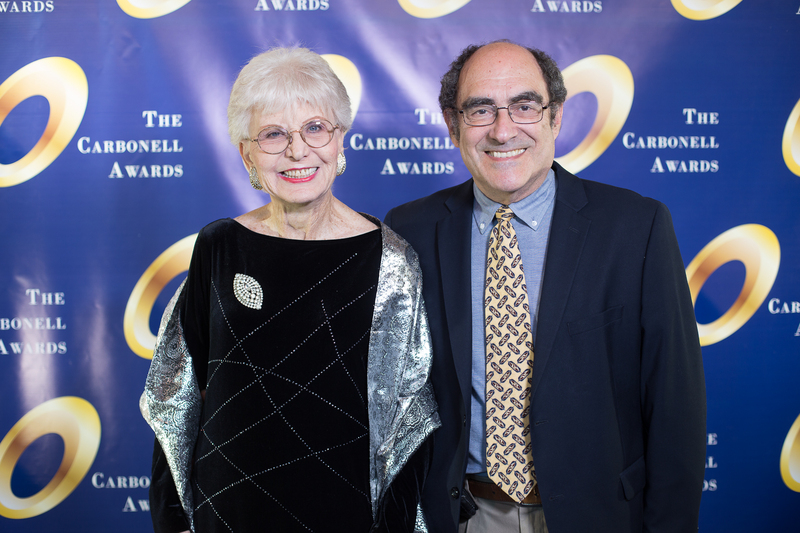 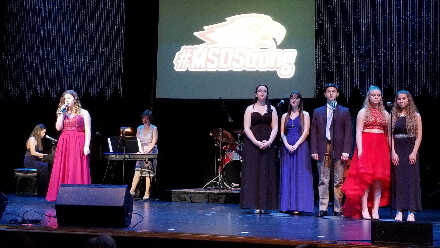 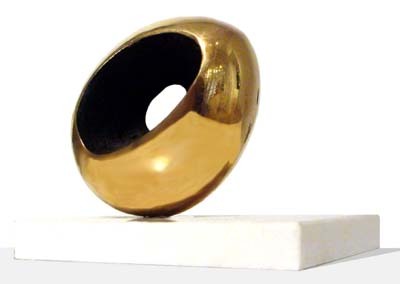 Named after Manuel Carbonell, an internationally-renowned sculptor, who designed the original solid bronze and marble award in 1976, each season volunteer panelists and judges choose nominees and recipients from hundreds of shows produced on stages throughout the tri-county area. 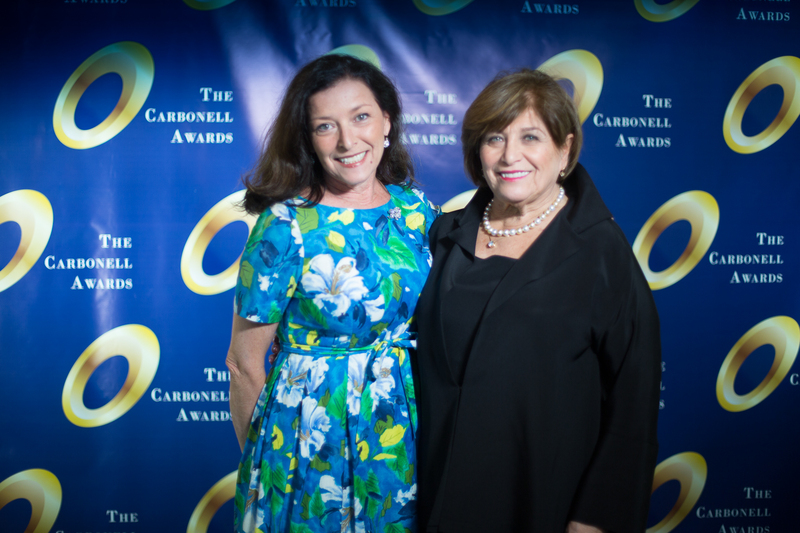 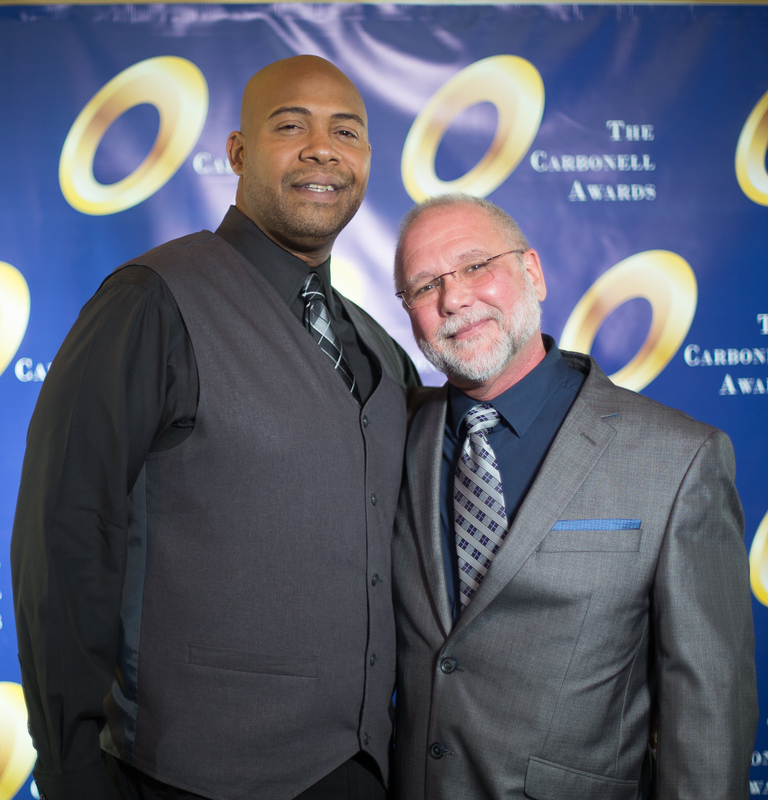 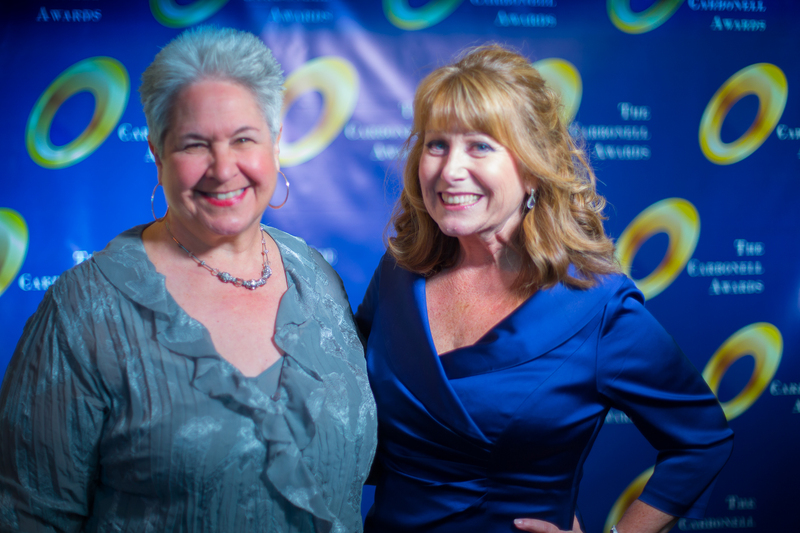 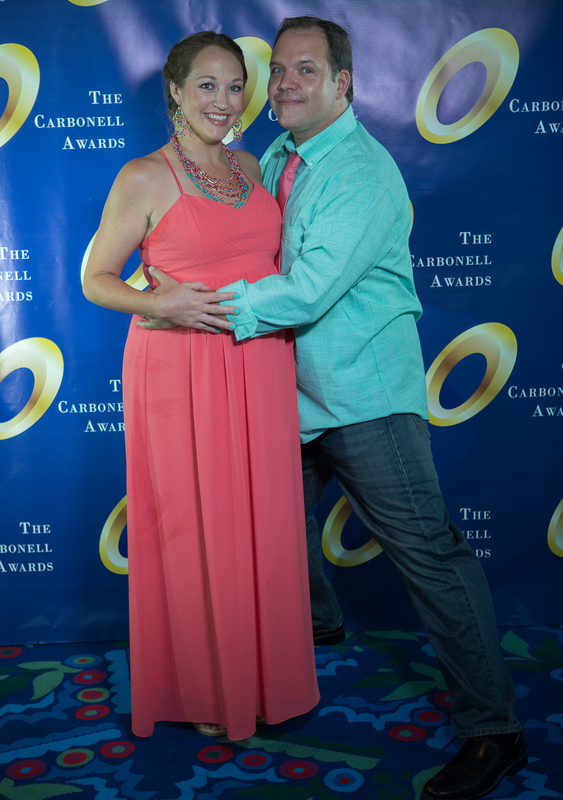 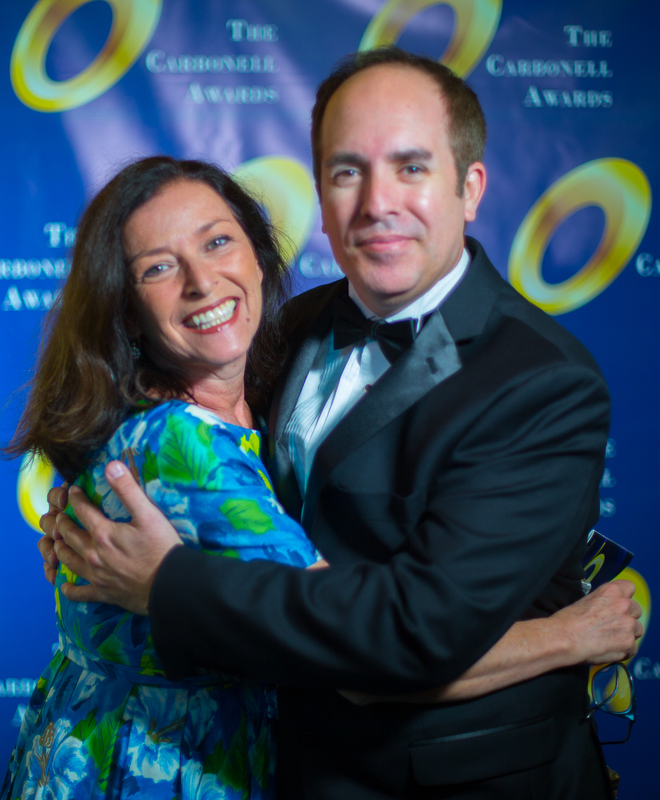 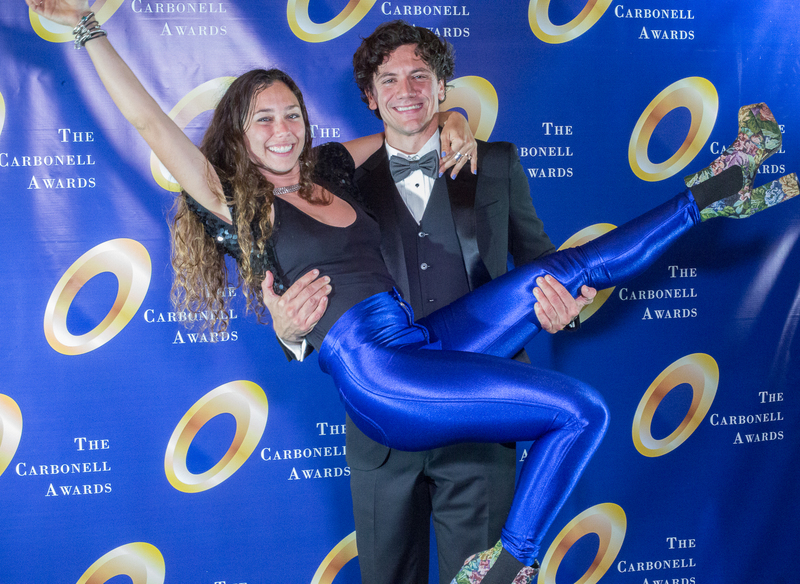 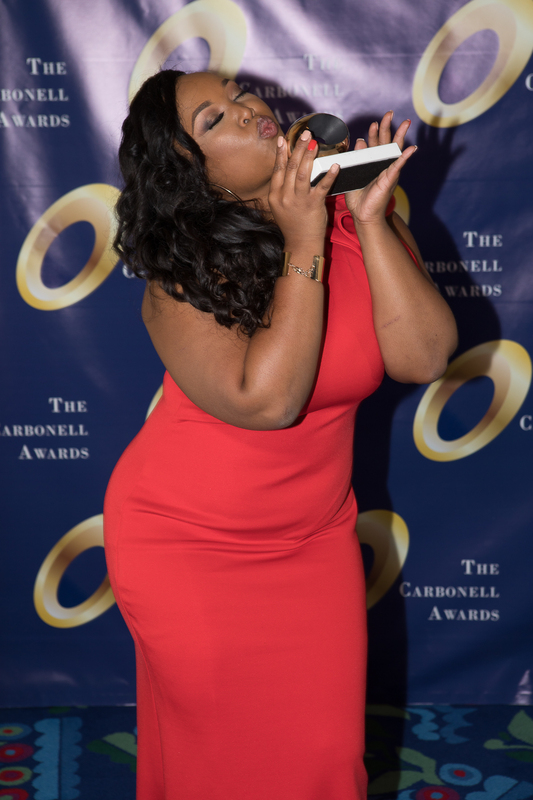 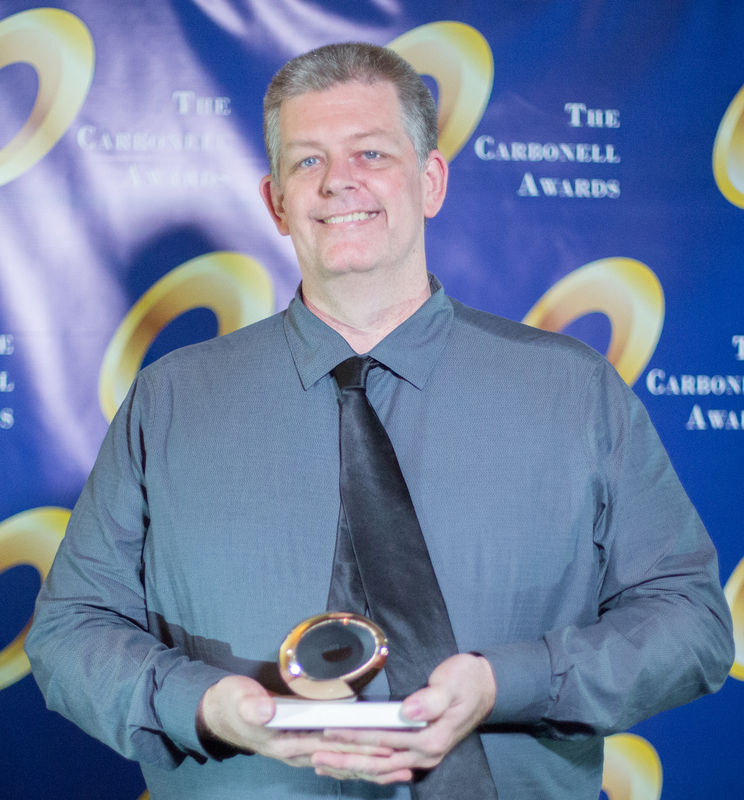 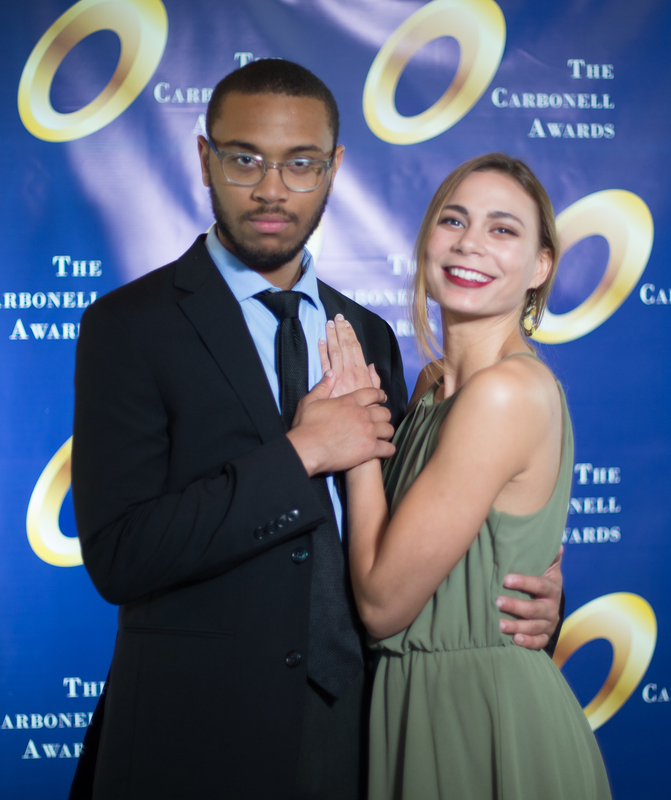 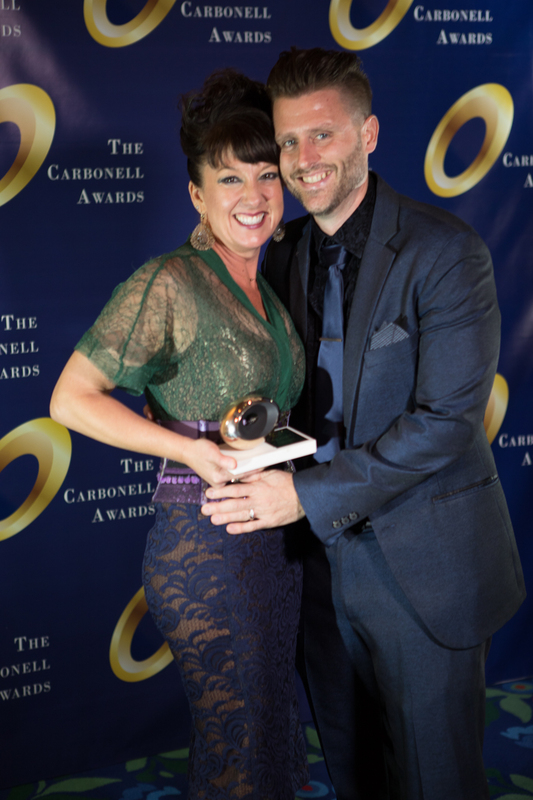 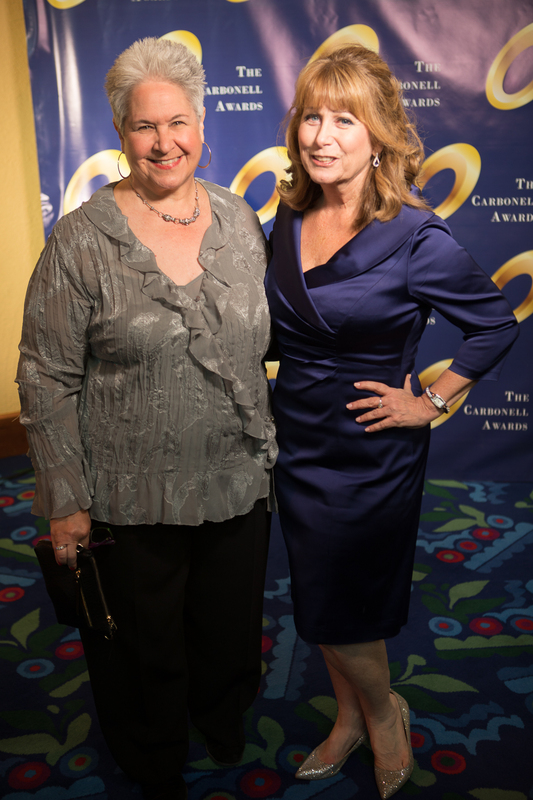 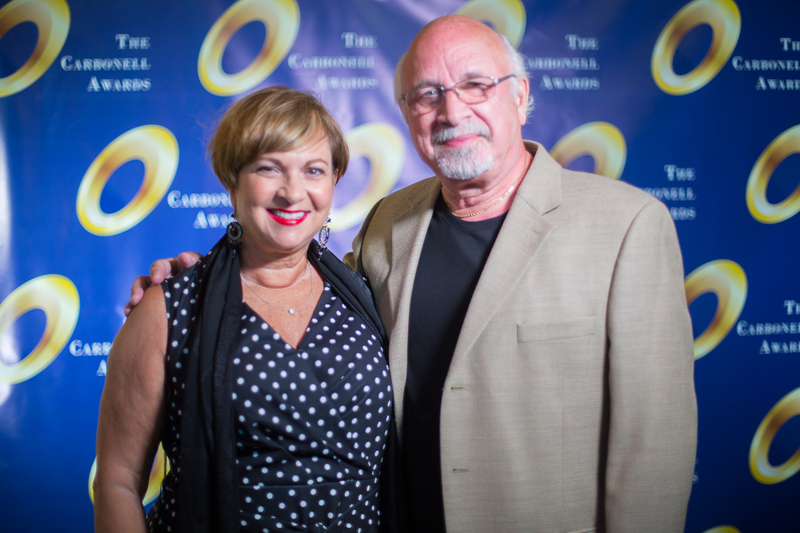 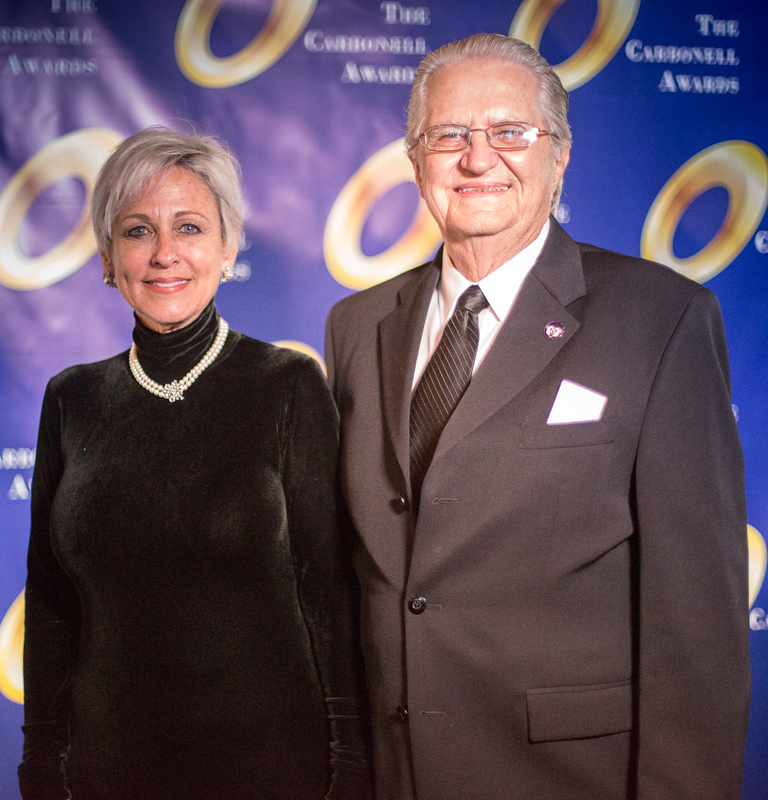 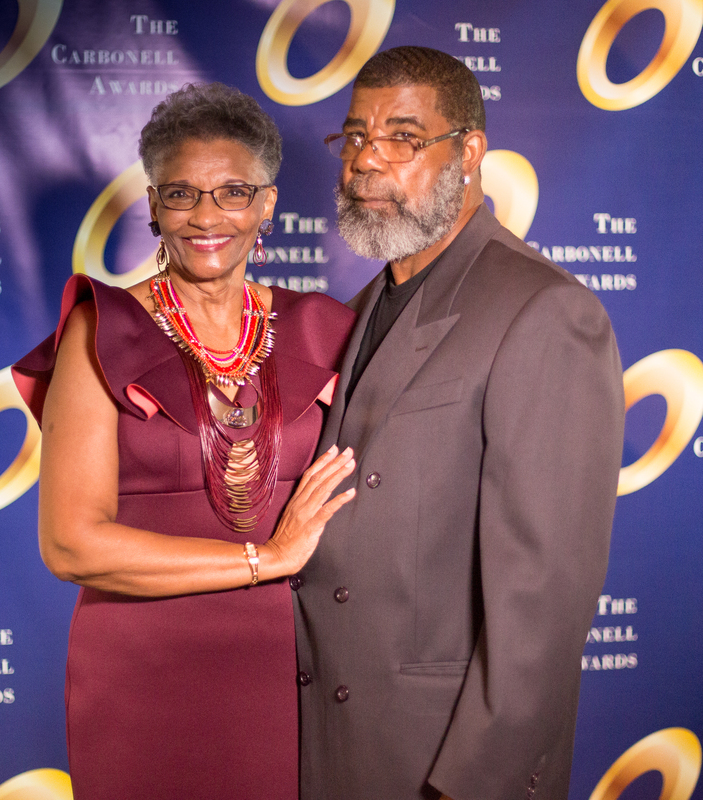 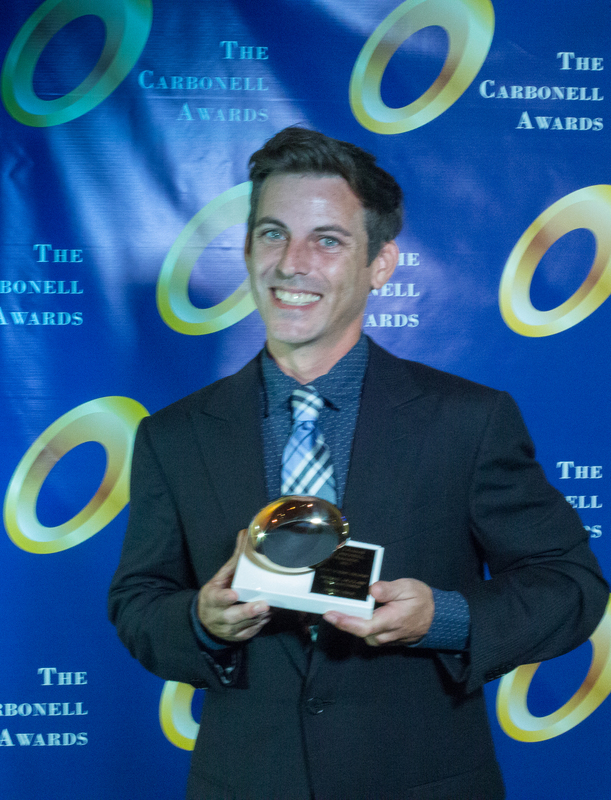 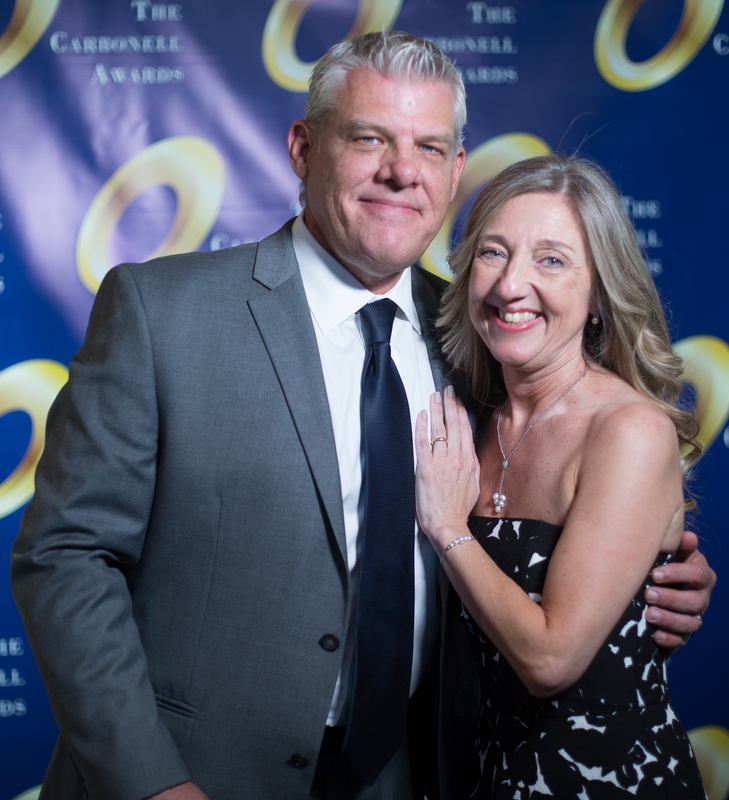 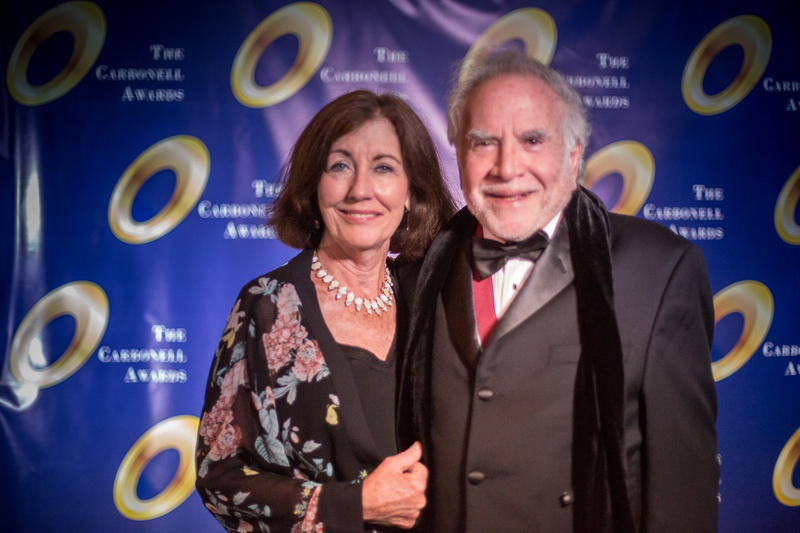 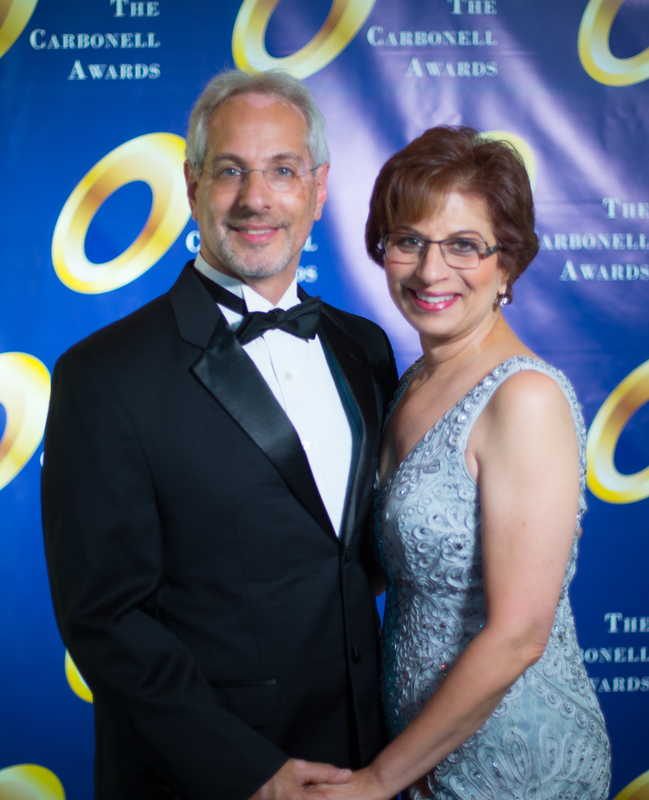 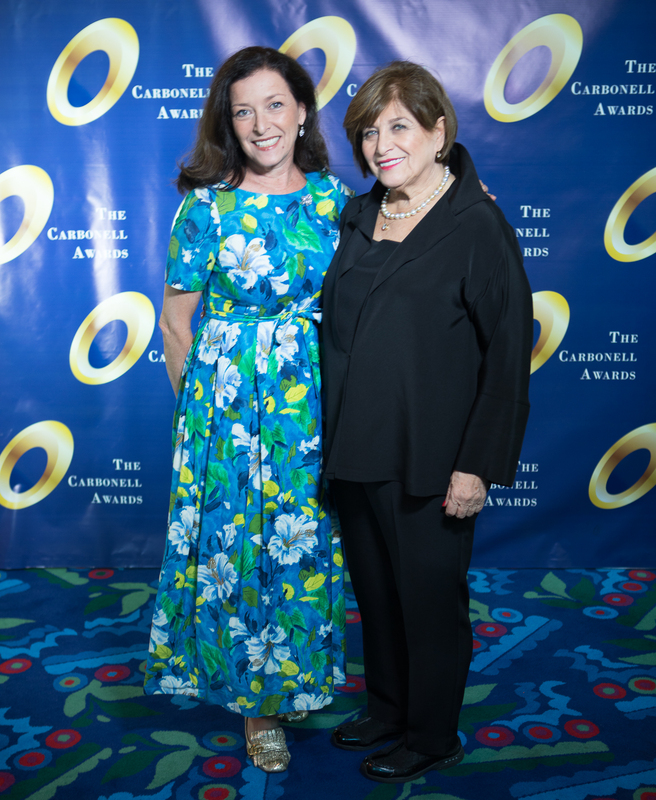 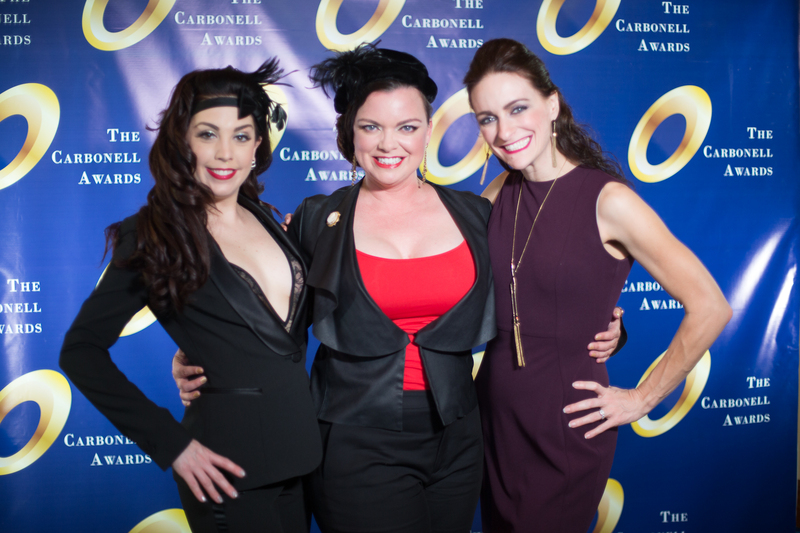 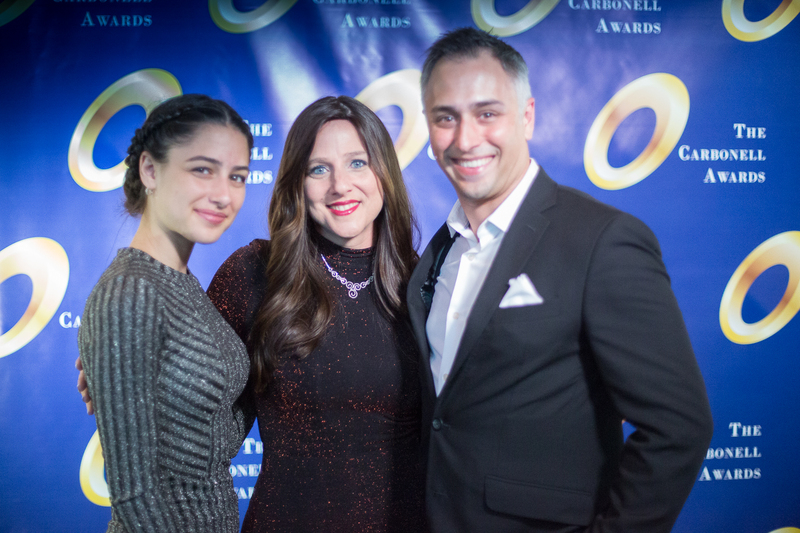 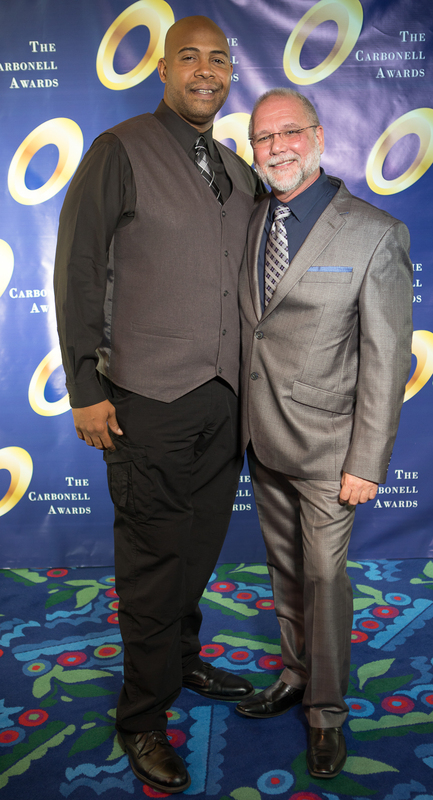 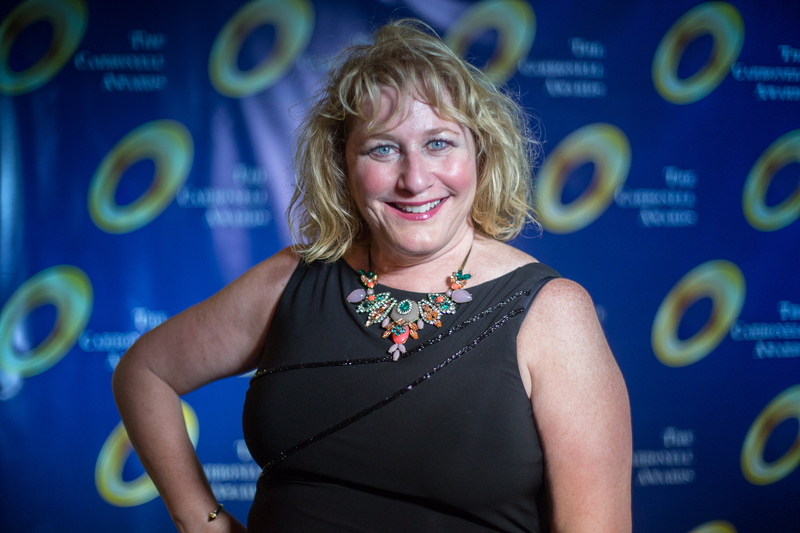 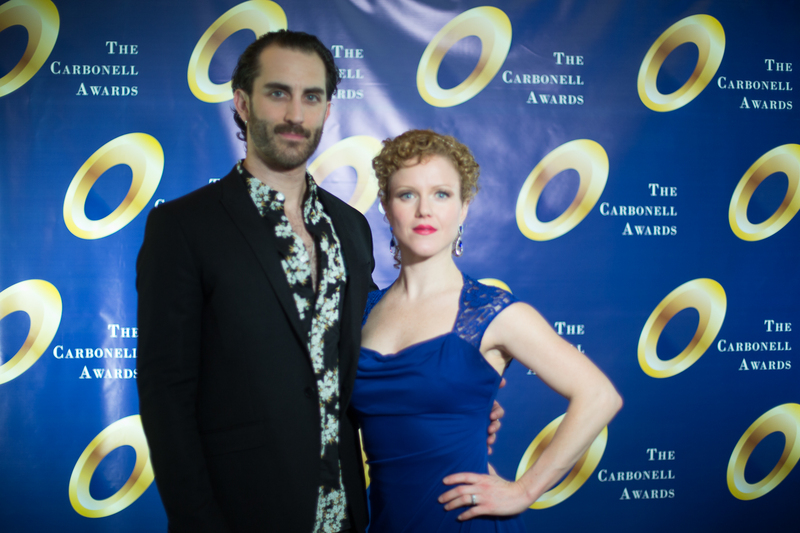 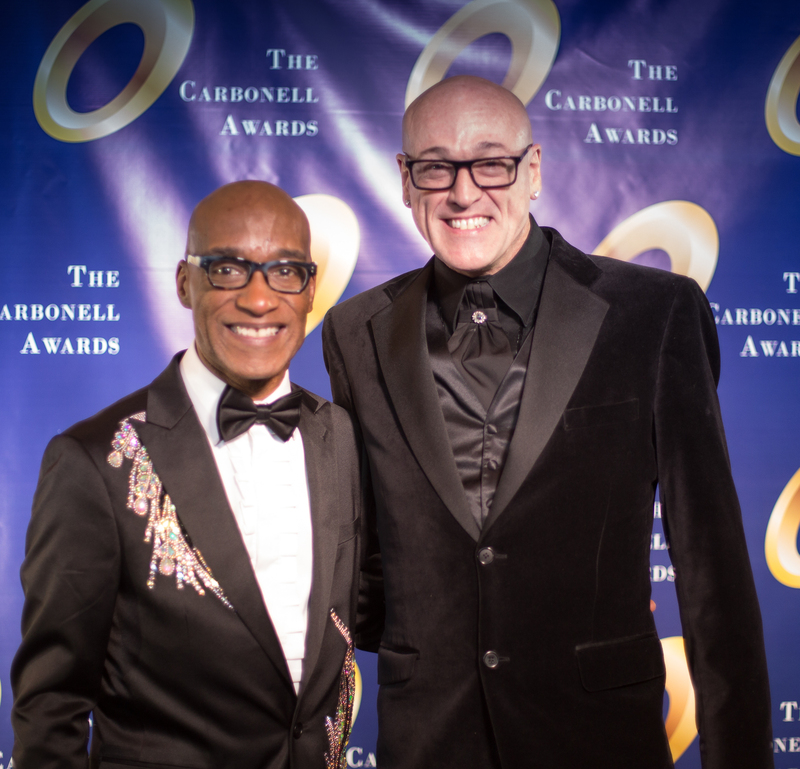 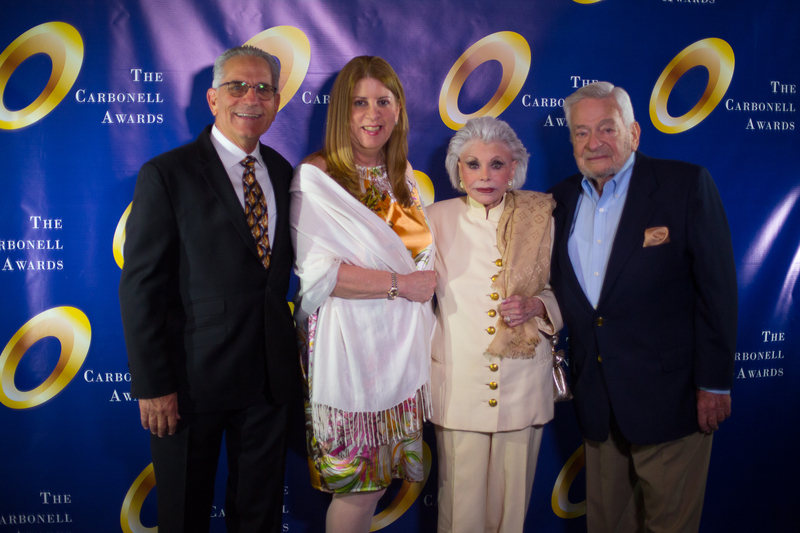 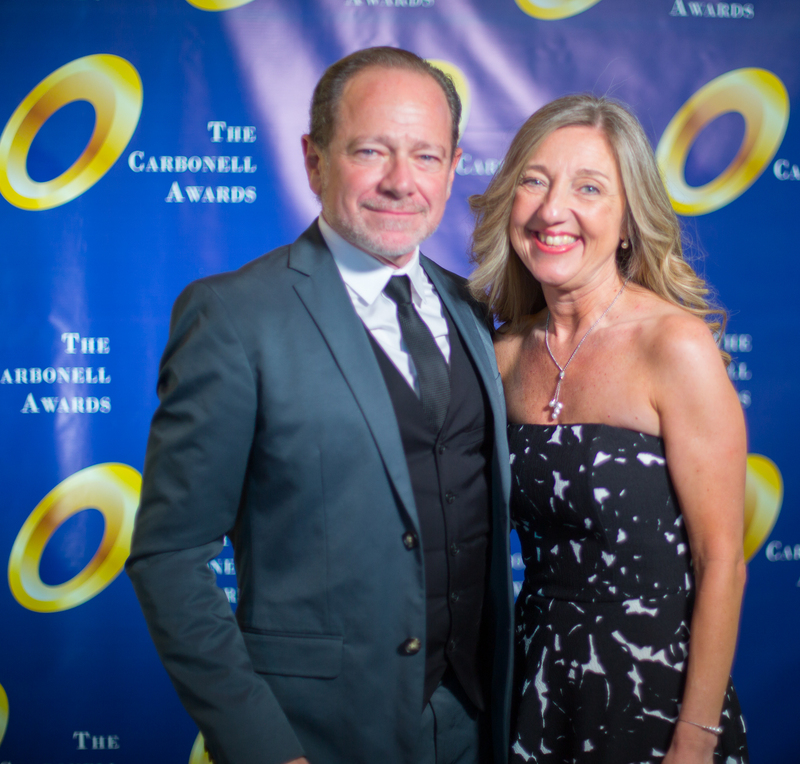 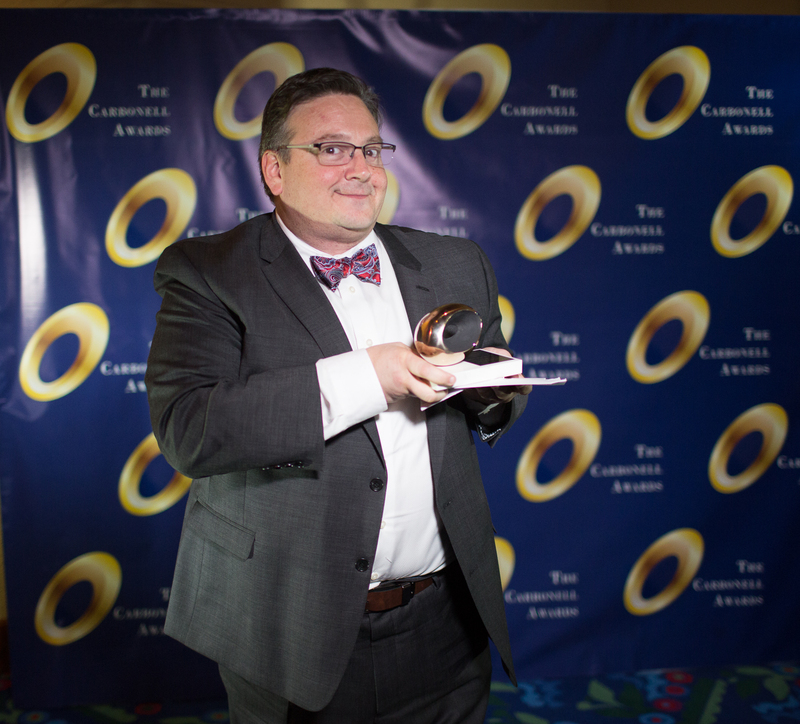 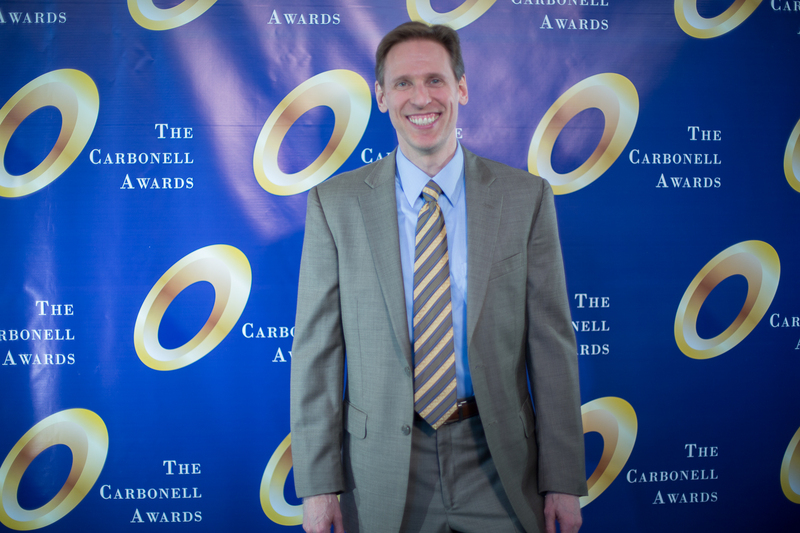 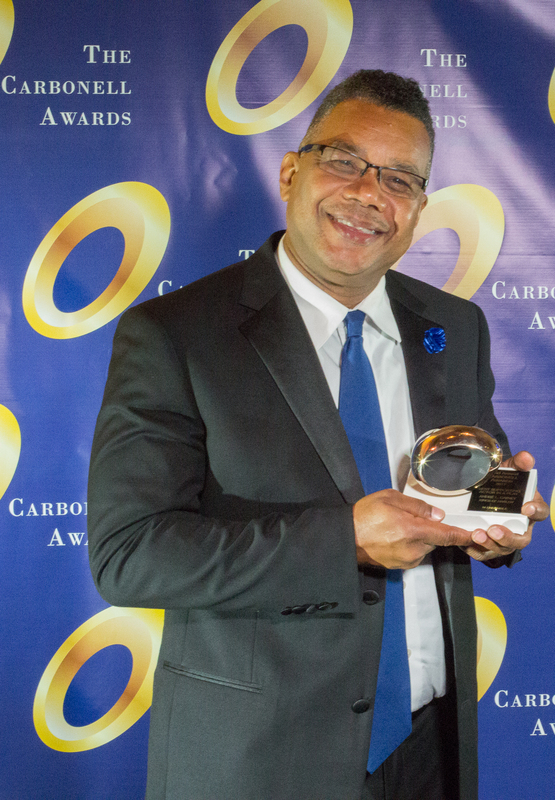 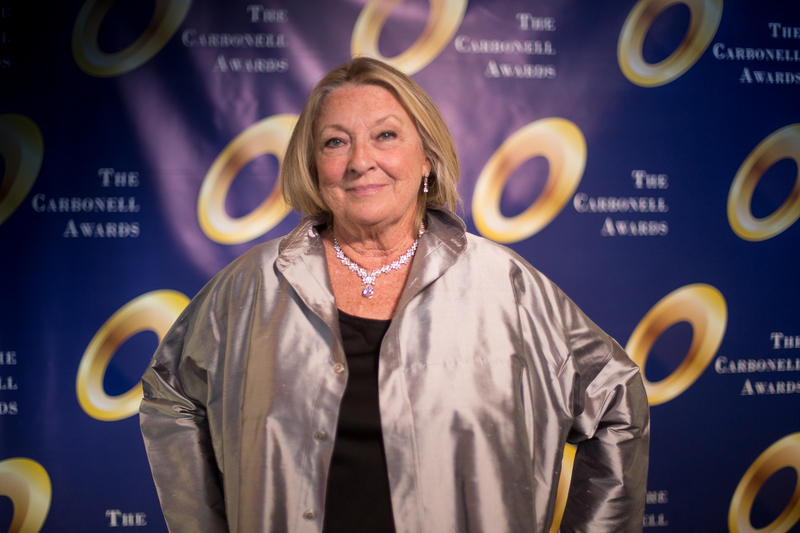 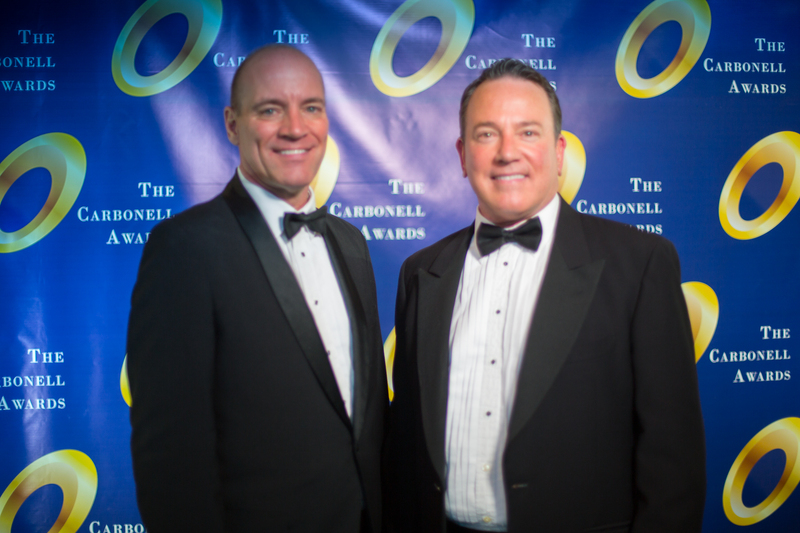 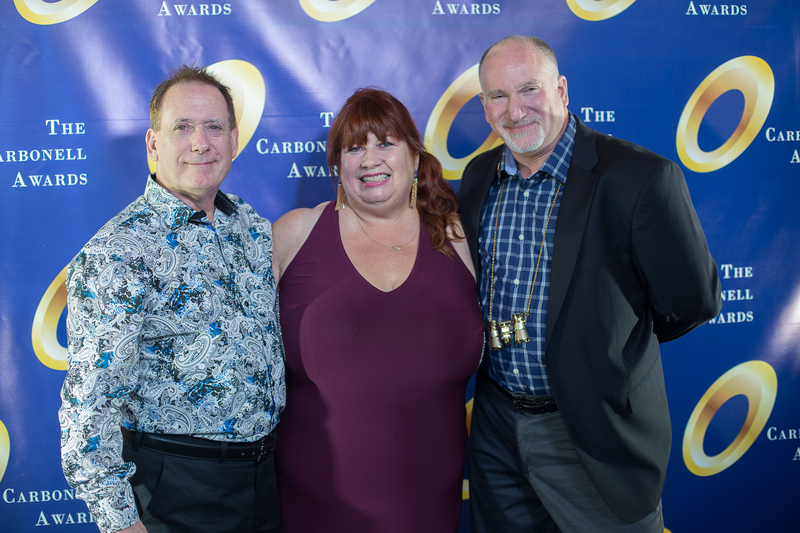 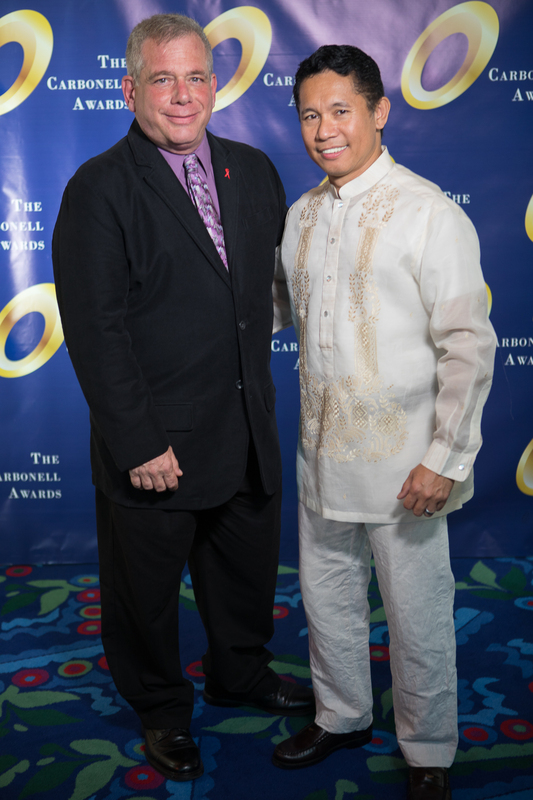 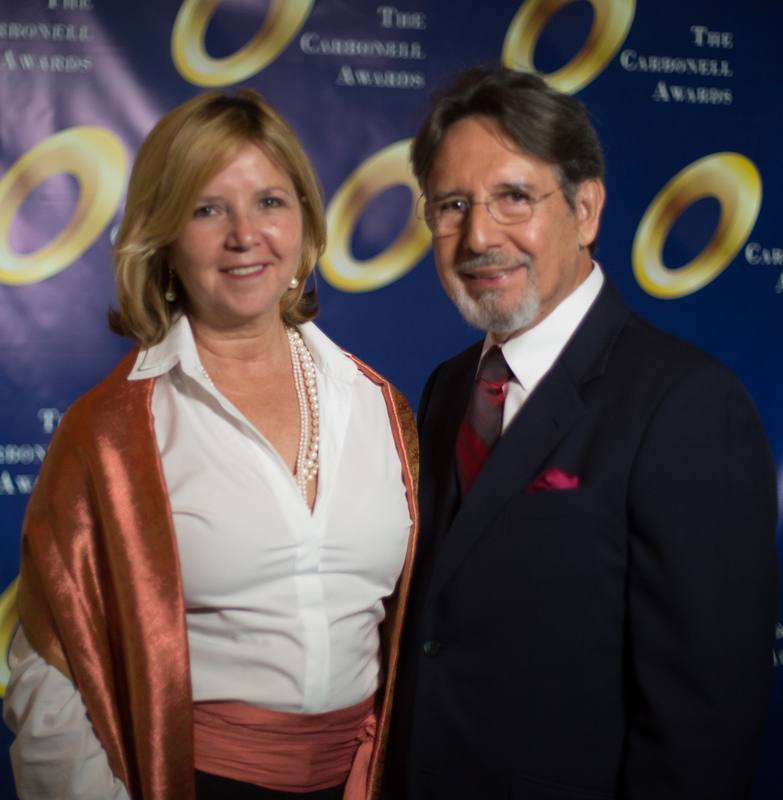 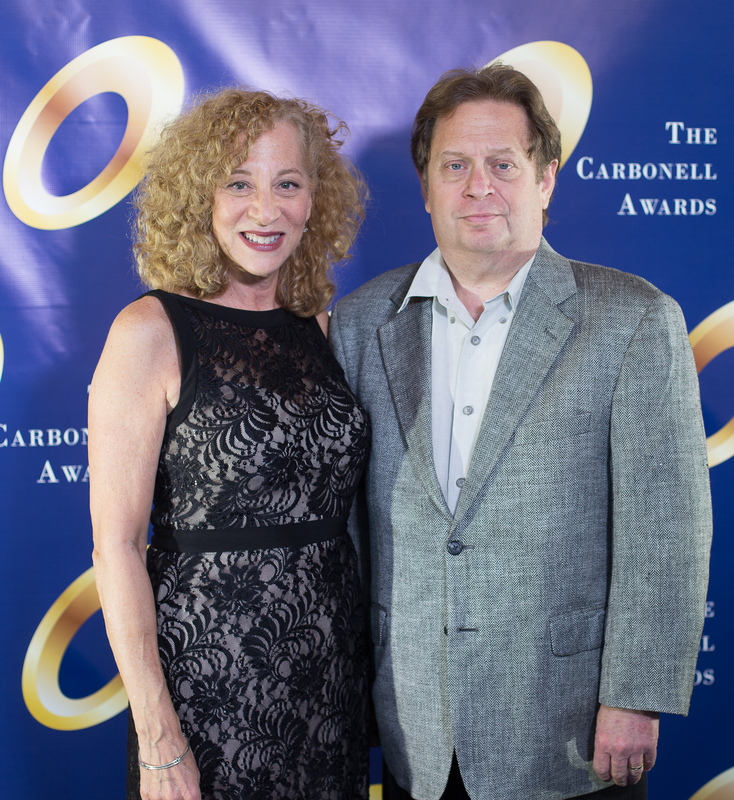 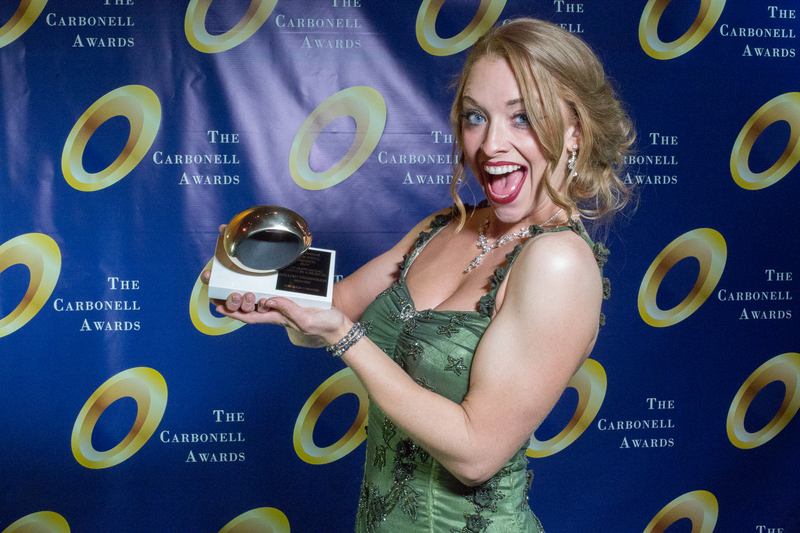 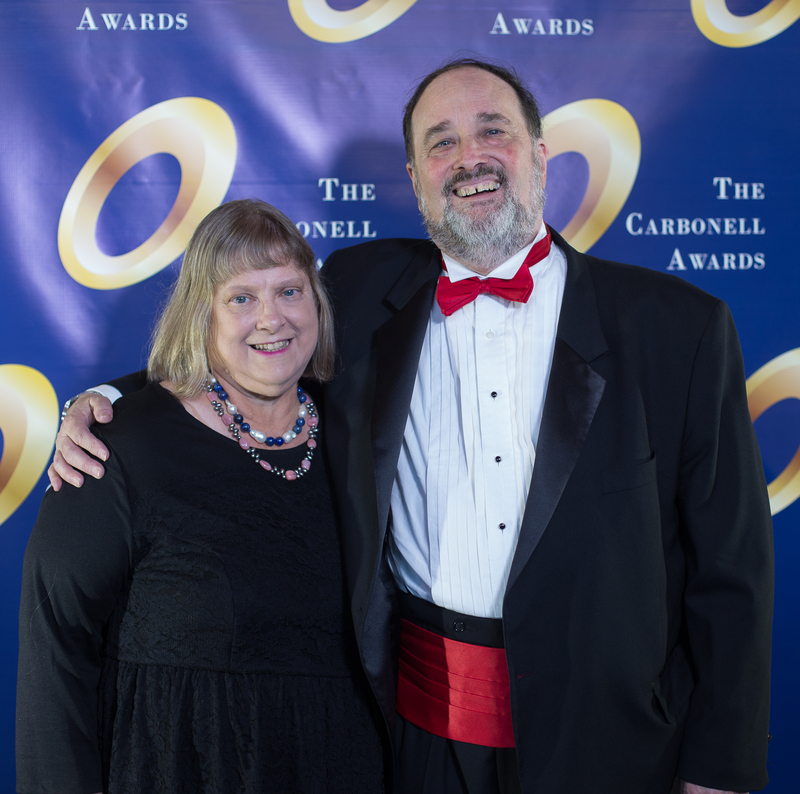 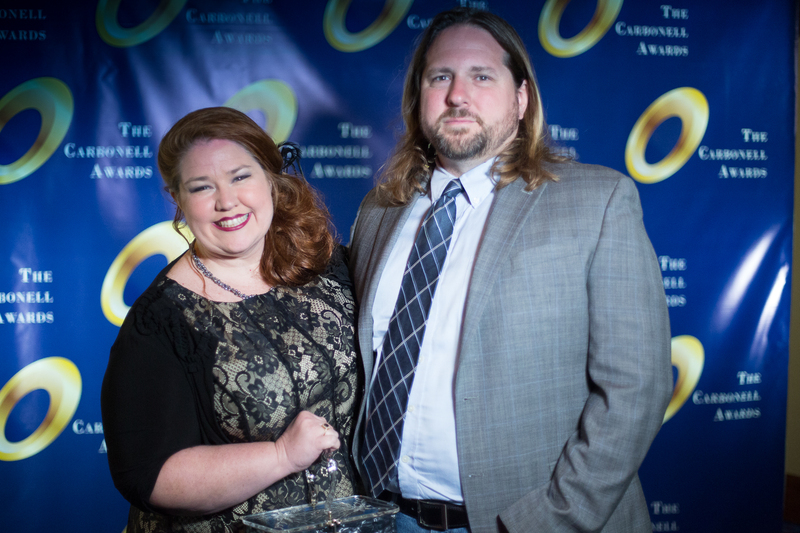 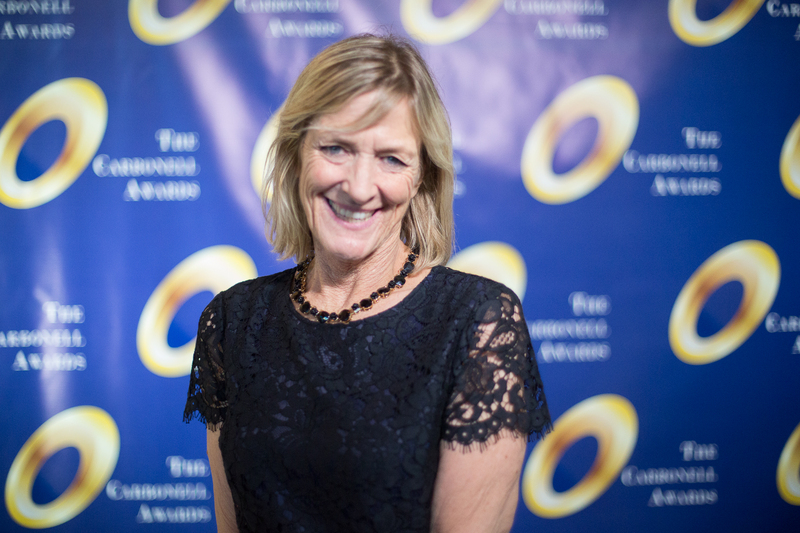 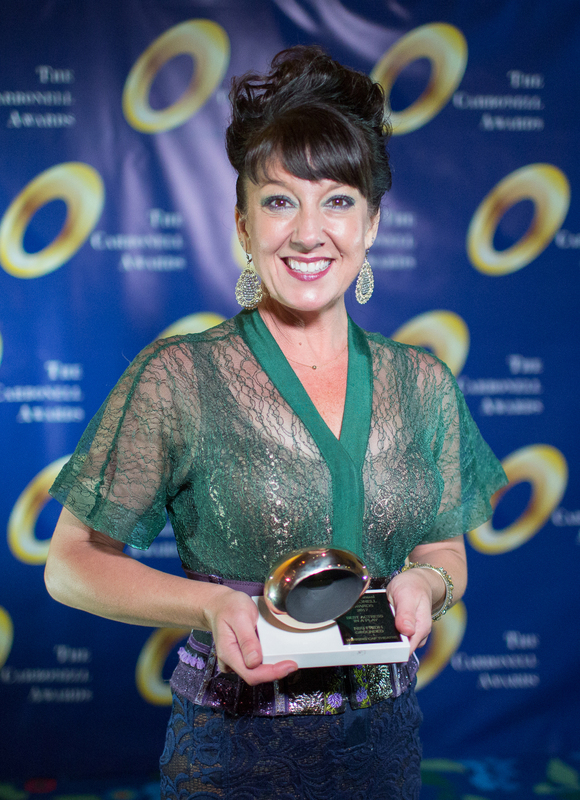 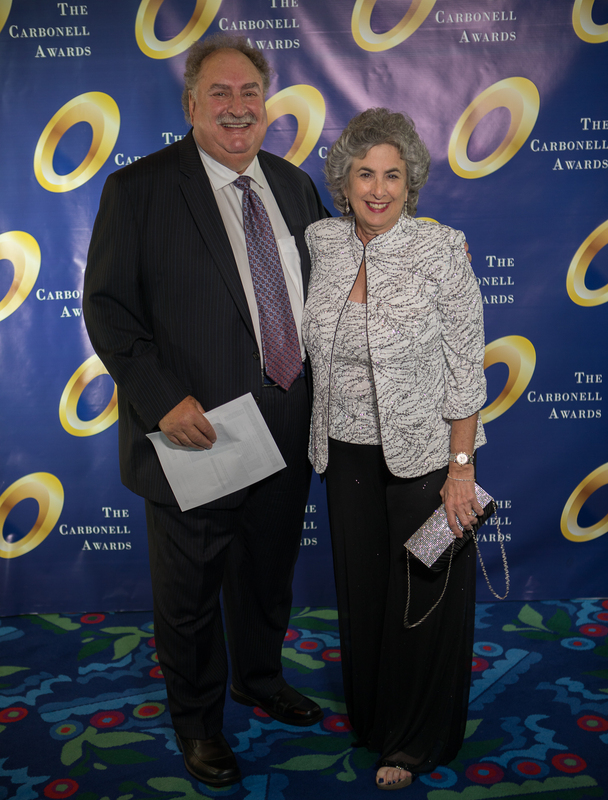 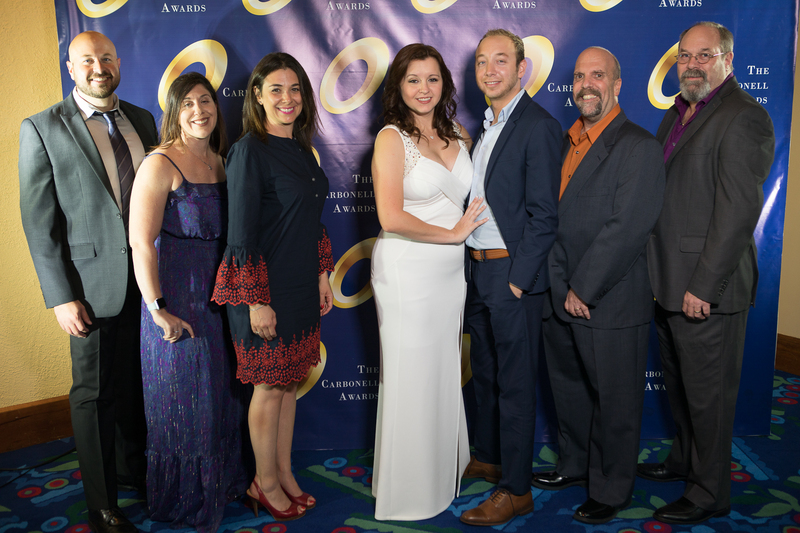 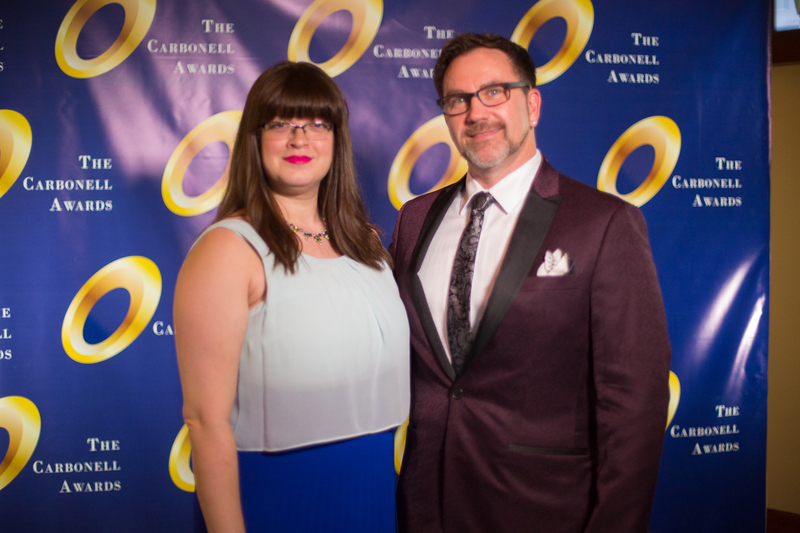 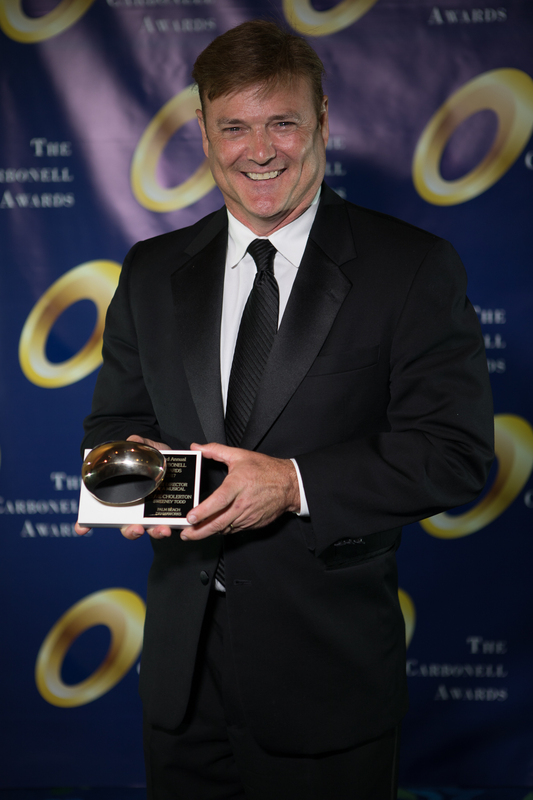 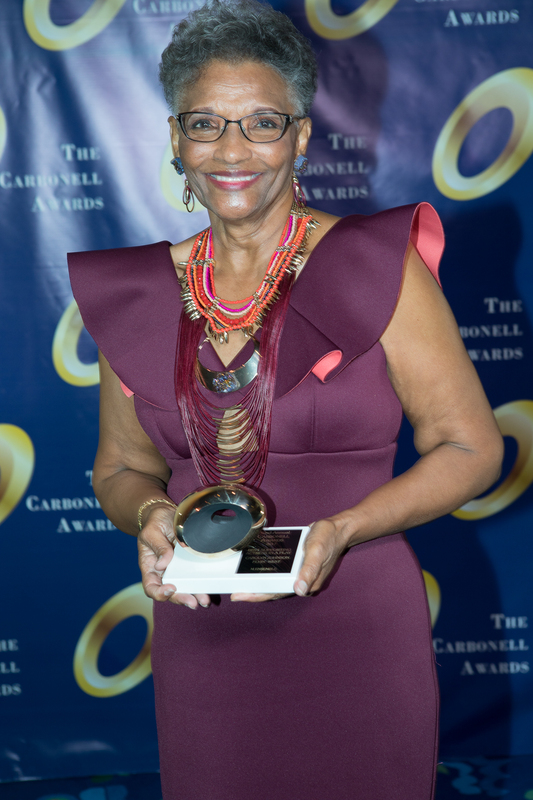 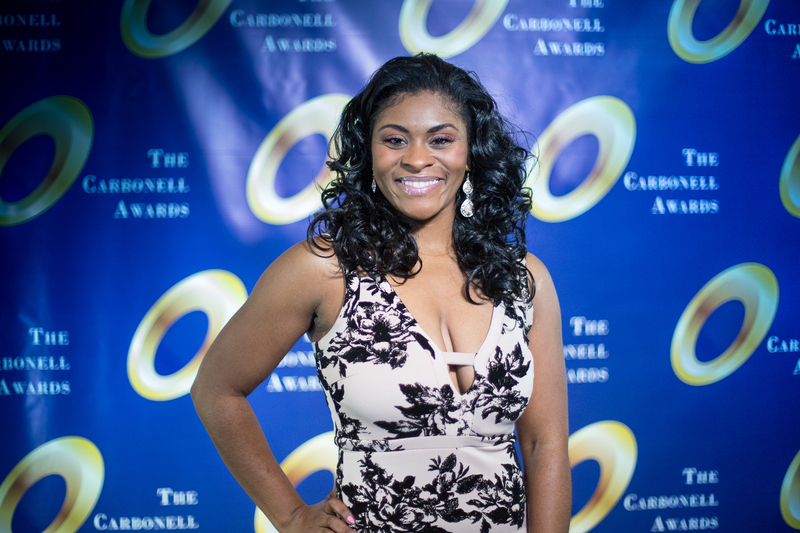 The Carbonell Awards is a not-for-profit organization and is funded by tax-deductible donations and award sponsorships. 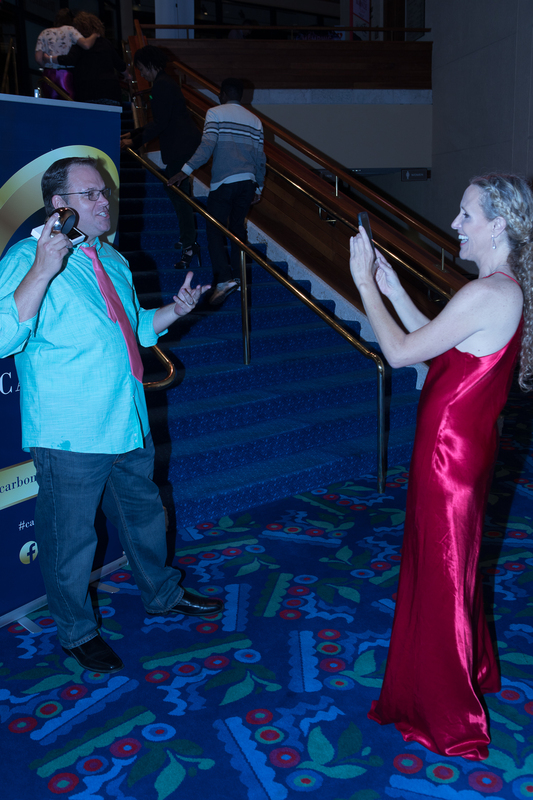 Opportunities to sponsor an award category and appear on stage to announce the winner are available each season. 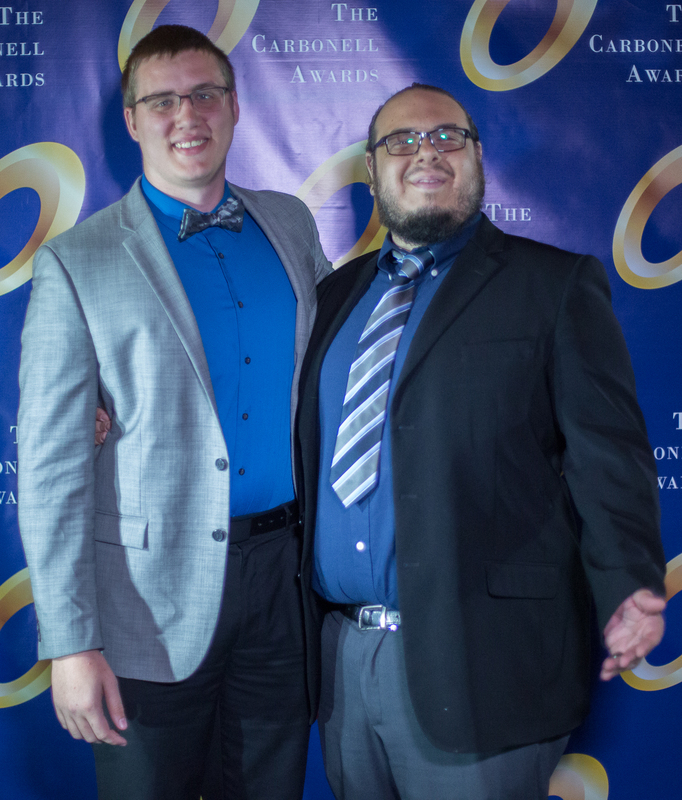 201 S.W. 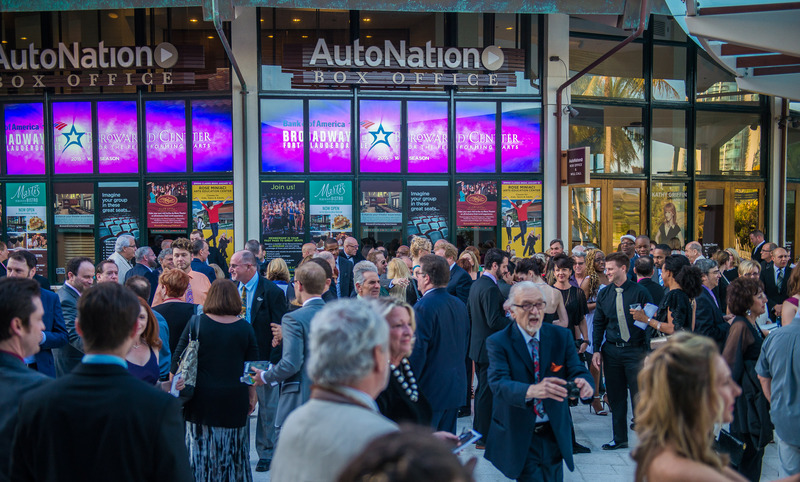 5th Ave., Fort Lauderdale. 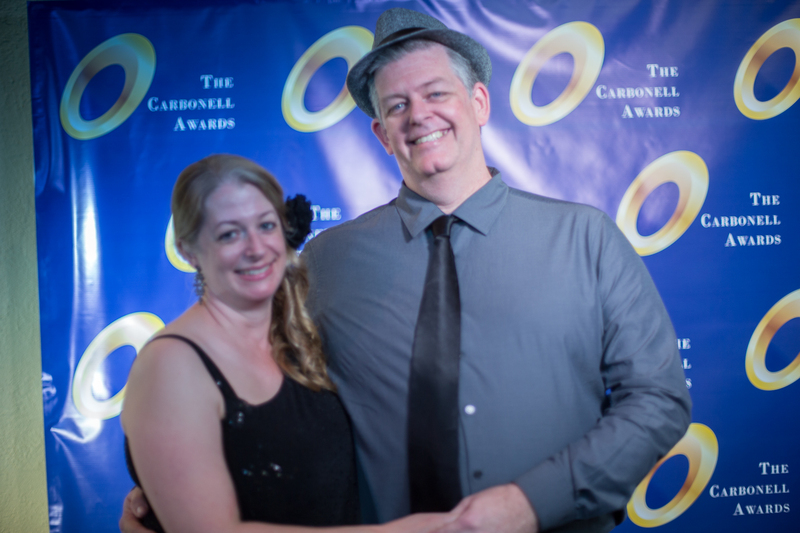 SPONSORSHIPS ARE NOW AVAILABLE IN ALL CATEGORIES. 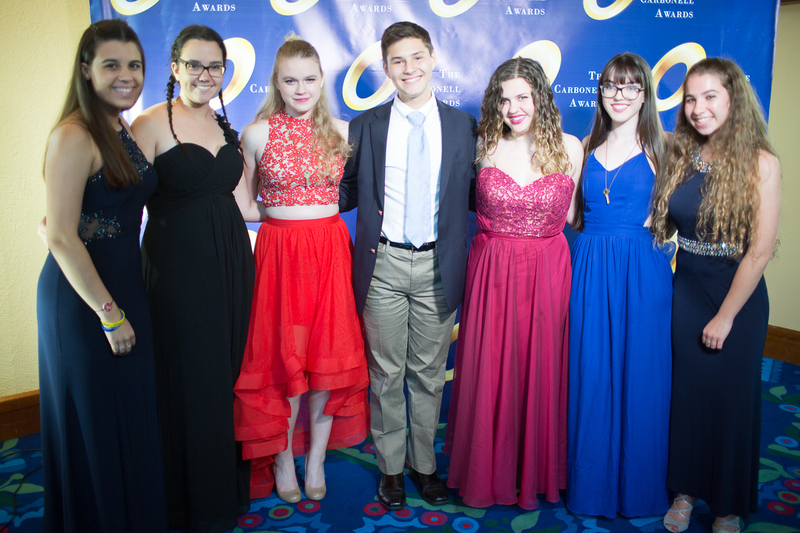 $5,000 Sponsorship: Includes named sponsorship of an award category including Best Play, Best Musical, Best New Work, Best Director of a Musical, Best Director of a Play; sponsor recognition in the program for the award category; sponsor recognition in the on stage media presentation; opportunity to have a sponsor representative announce the winner of the sponsored category from the stage; commemorative plaque recognizing your sponsorship of the event; full page advertisement in the program book; six tickets to the award ceremony. 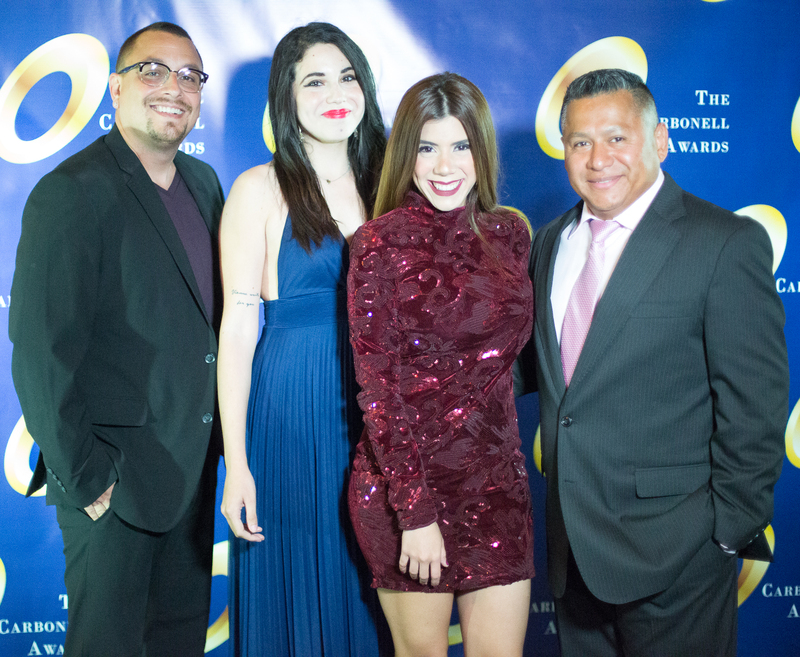 $2,500 Sponsorship: Includes named sponsorship of an award category including Best Actor of a Play, Best Actress of a Play, Best Actor of a Musical, Best Actress of a Musical, Best Ensemble; sponsor recognition in the program for the award category; sponsor recognition in the on stage media presentation; opportunity to have a sponsor representative announce the winner of the sponsored category from the stage; commemorative plaque recognizing your sponsorship of the event; half page advertisement in the program book; four tickets to the award ceremony. 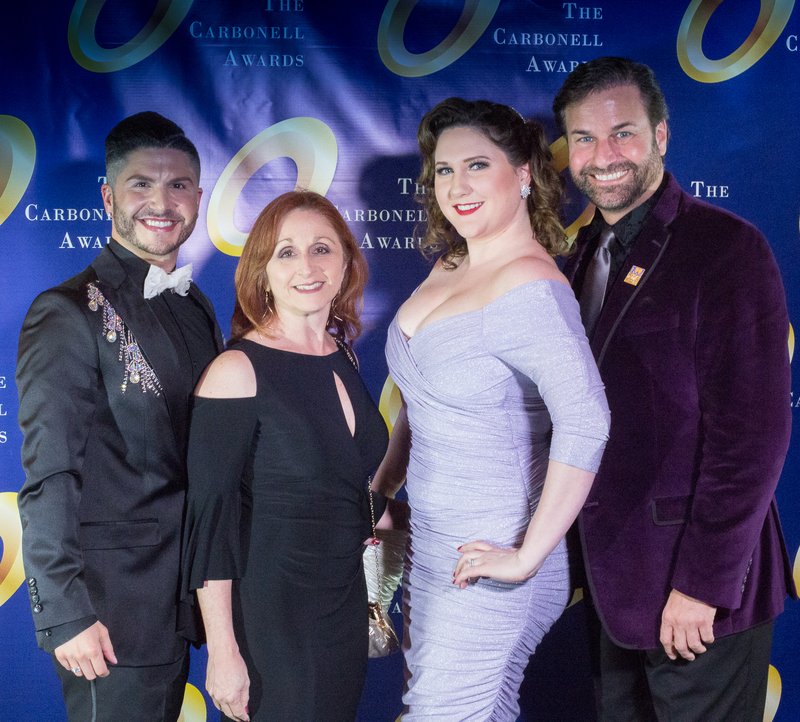 $1,000 Sponsorship: Includes named sponsorship of an award category assigned by the Carbonell Board in consultation with sponsor; sponsor recognition in the program for the award category; sponsor recognition in the on stage media presentation; opportunity to have a sponsor representative announce the winner of the sponsored category from the stage; commemorative plaque recognizing your sponsorship of the event; two tickets to the award ceremony. 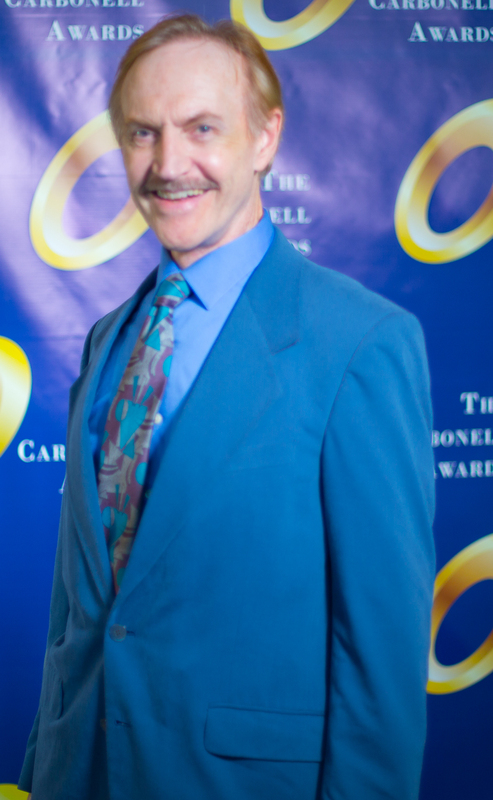 Advertisements are all in full color. 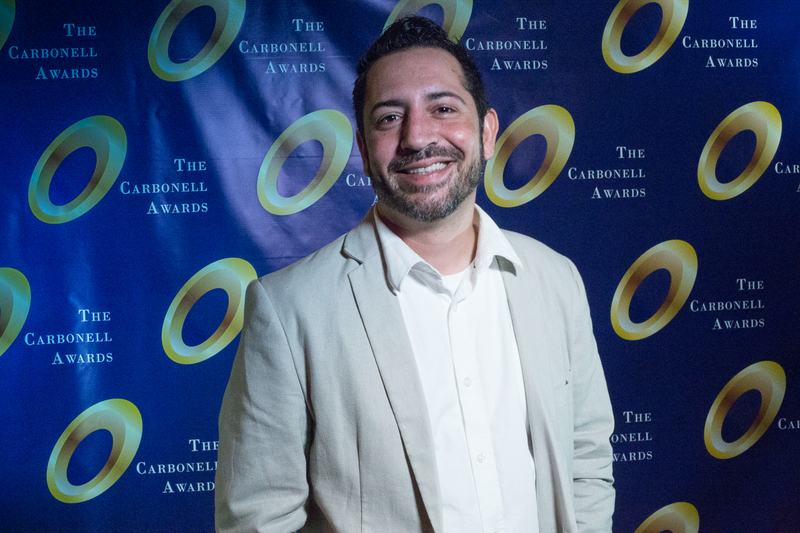 Full Page: 5″ wide x 8″ tall. 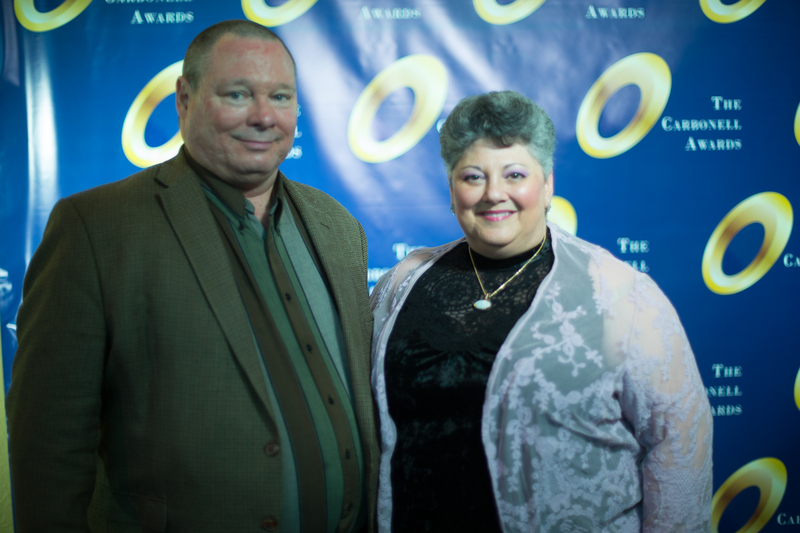 Half Page: 5″ wide x 3.875″ tall. 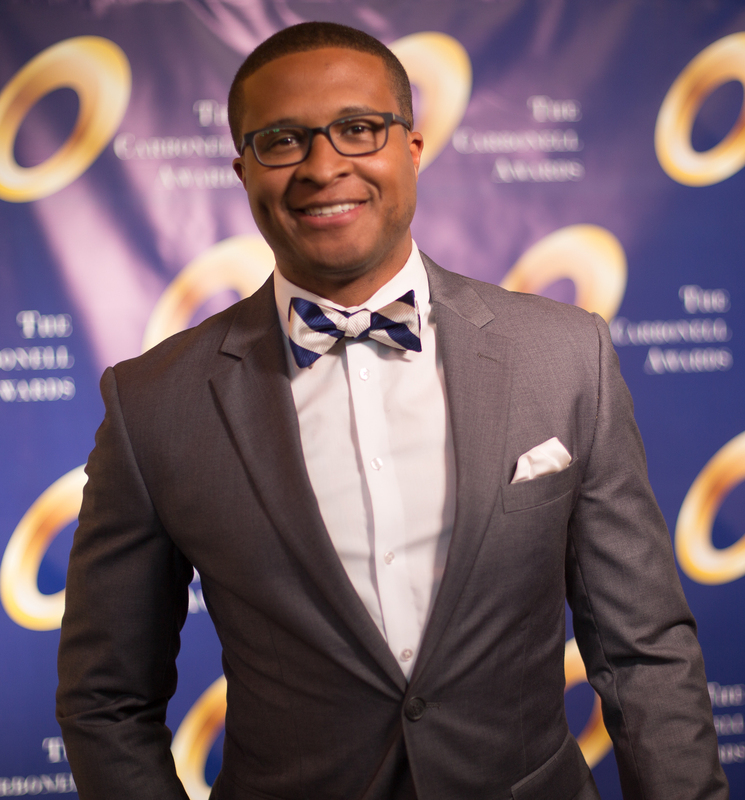 High res jpeg images are preferred but we can also accept pdf files. 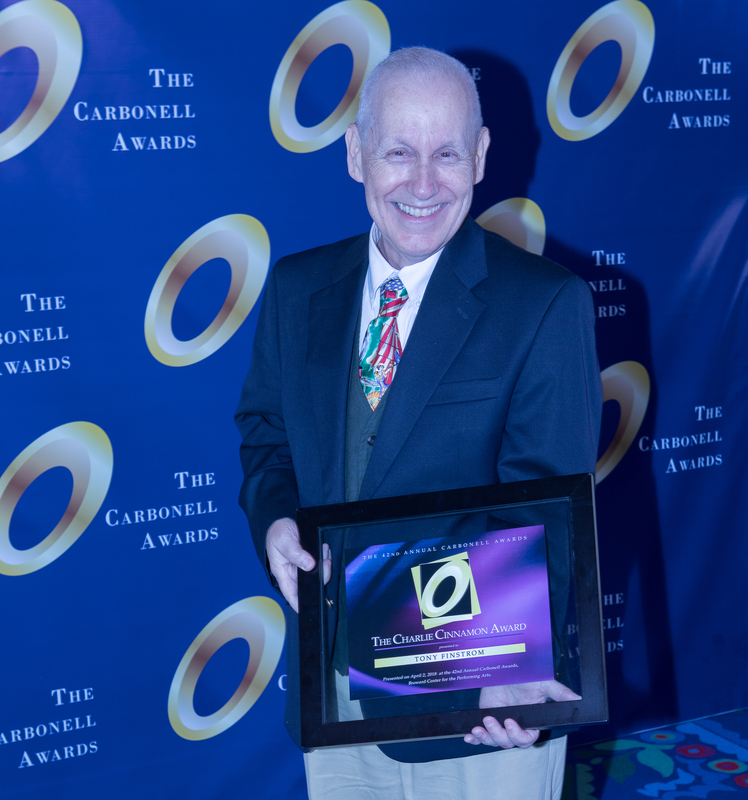 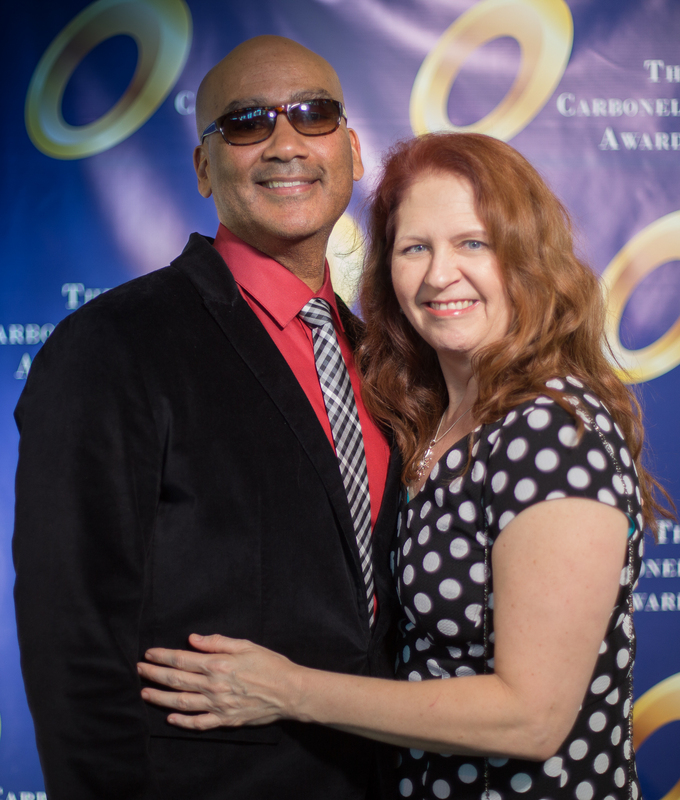 The Carbonell Awards is a not-for-profit charitable corporation which has been granted 501(c)3 tax exempt status by the Internal Revenue Service (ID65-0902470). 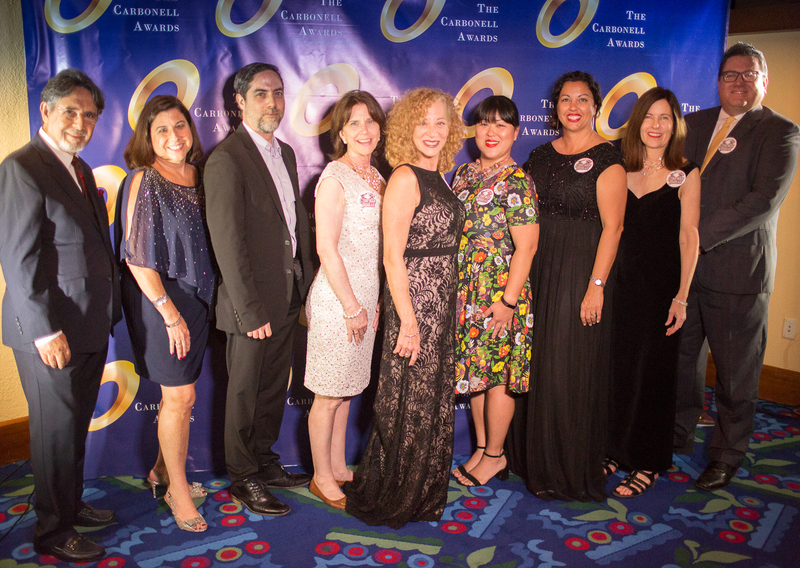 2018’s ceremony was generously supported by the following companies and individuals. 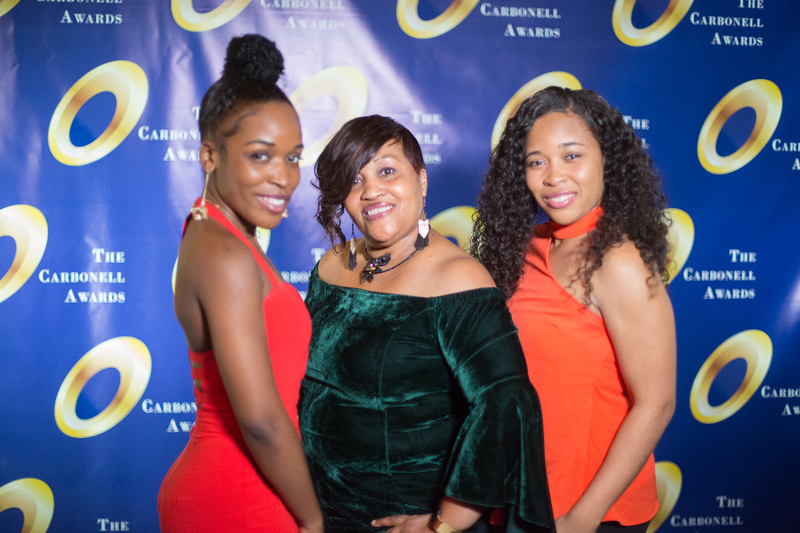 Add your name to this prestigious list in 2019. 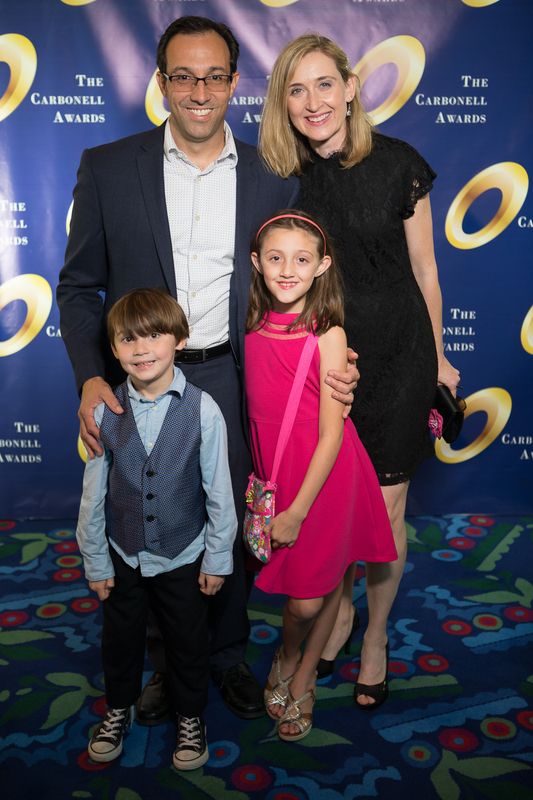 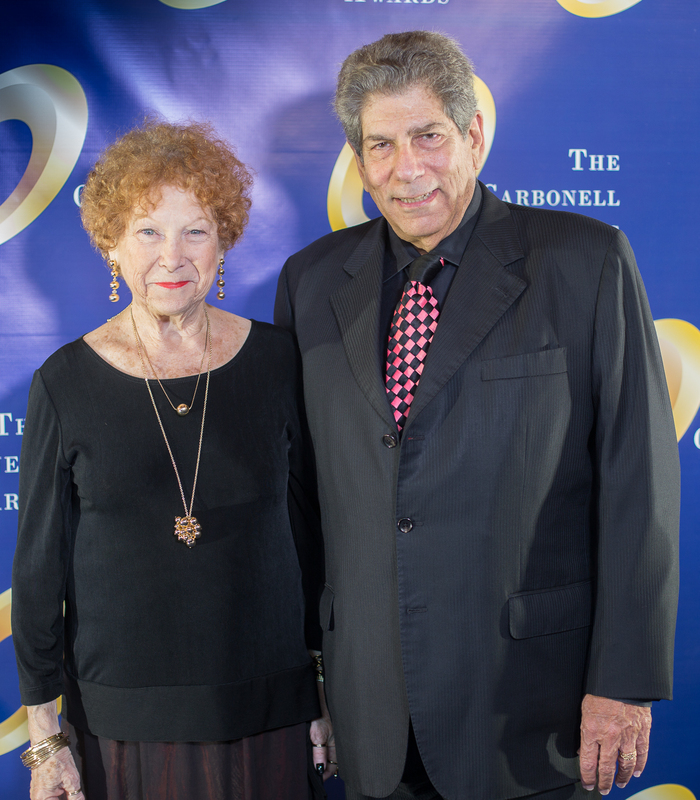 The Carbonell Family, South Florida Cultural Consortium, the Adrienne Arsht Center for the Performing Arts of Miami-Dade County, the Broward Center for the Performing Arts, Actors’ Equity Association, Rita and Jerry Cohen, WLRN, Miami-Dade County Auditorium, South Miami-Dade Cultural Arts Center, Culture Force, Tony Finstrom, WTVJ/NBC 6, Cultural Council of Palm Beach County, The Raymond F. Kravis Center, Bee Free Media,and the South Florida Theatre League.